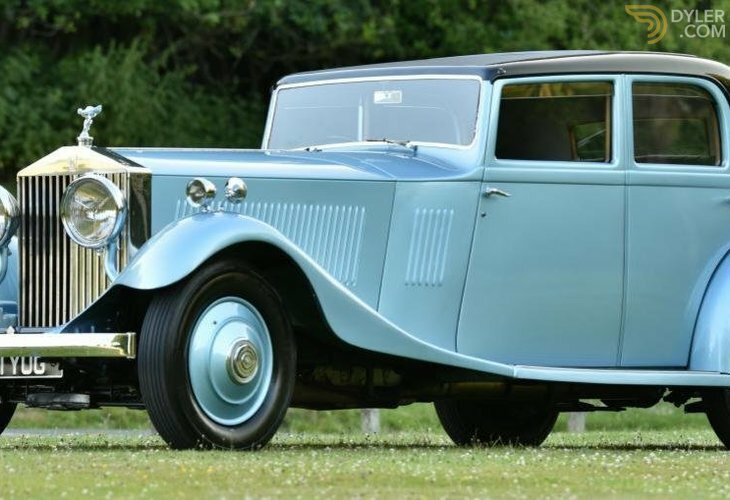 1933 Rolls Royce Phantom II Continental. 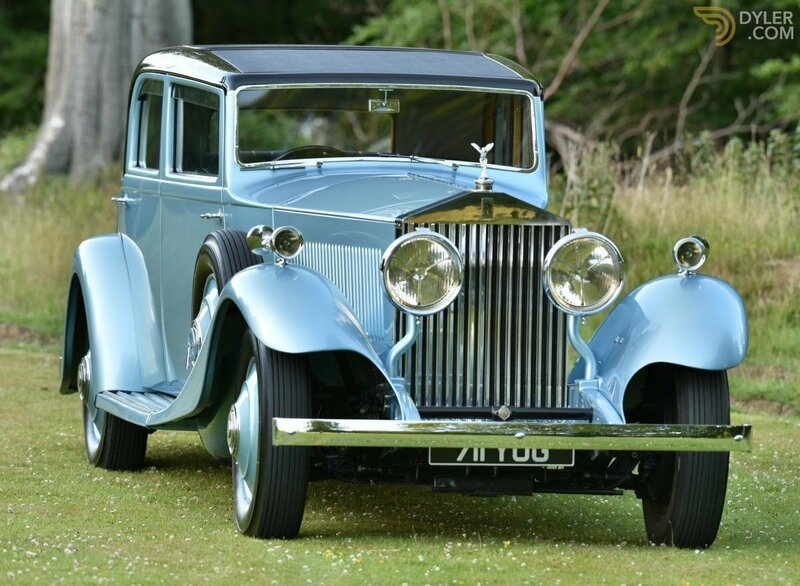 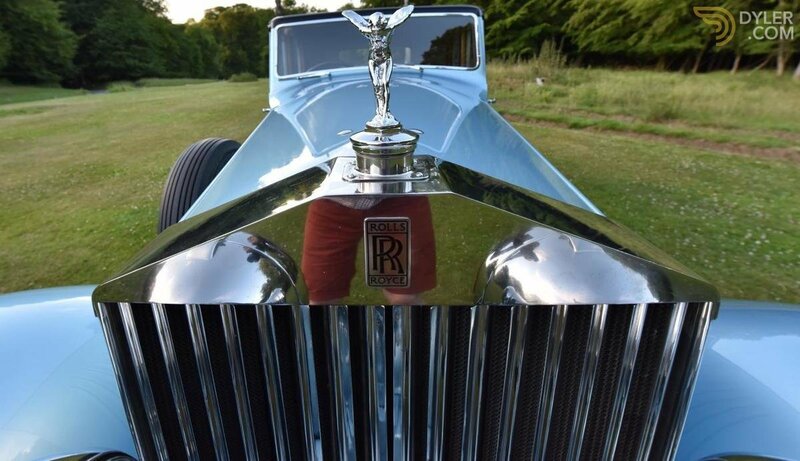 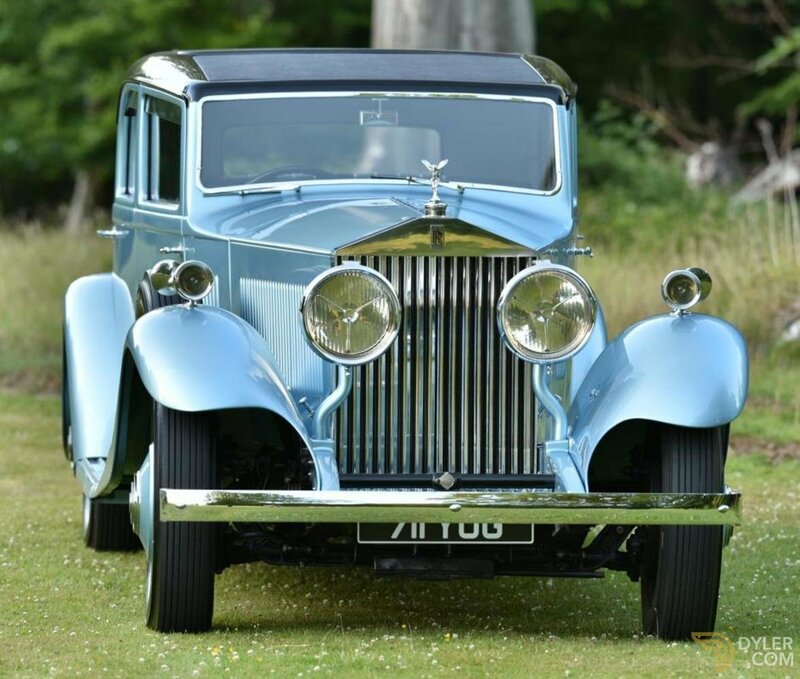 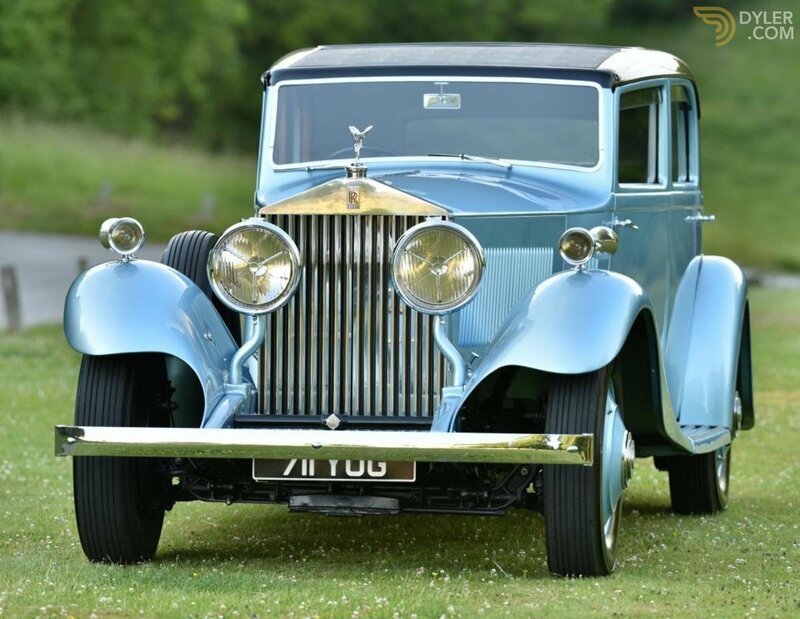 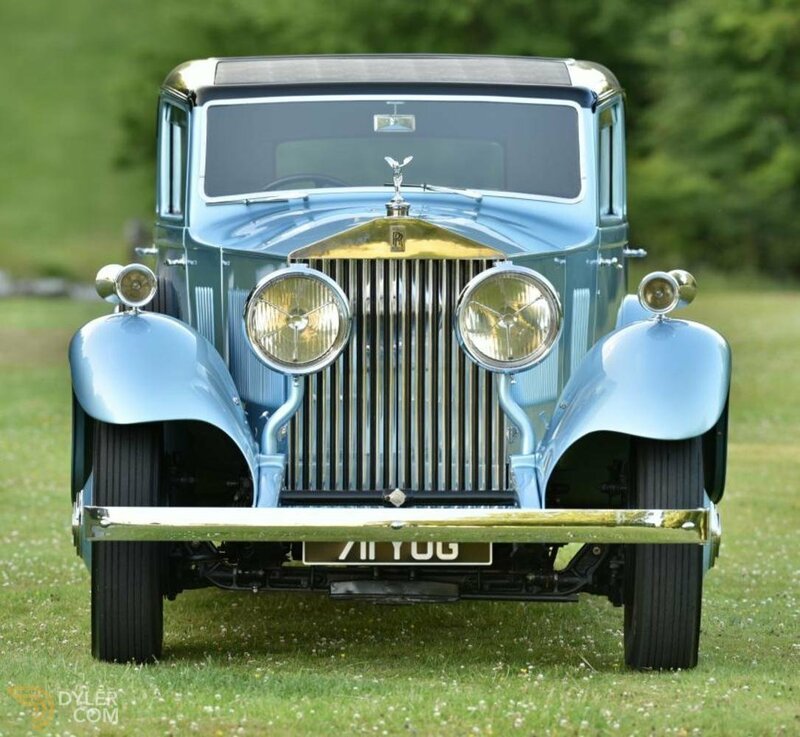 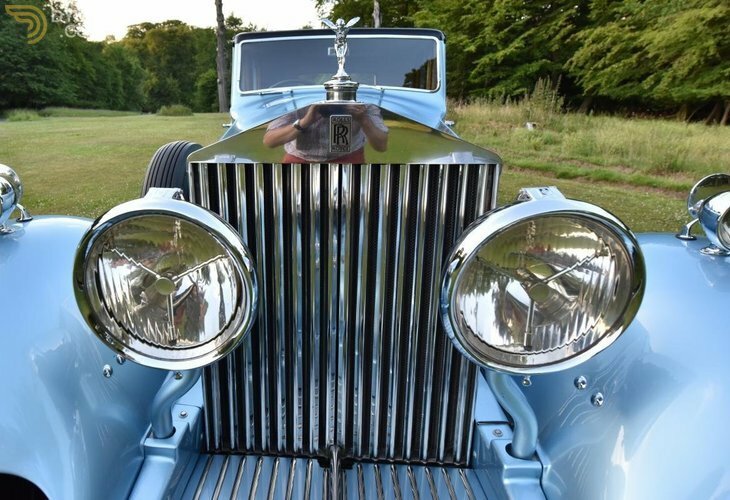 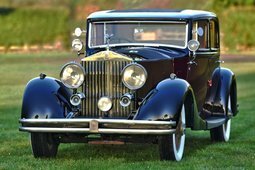 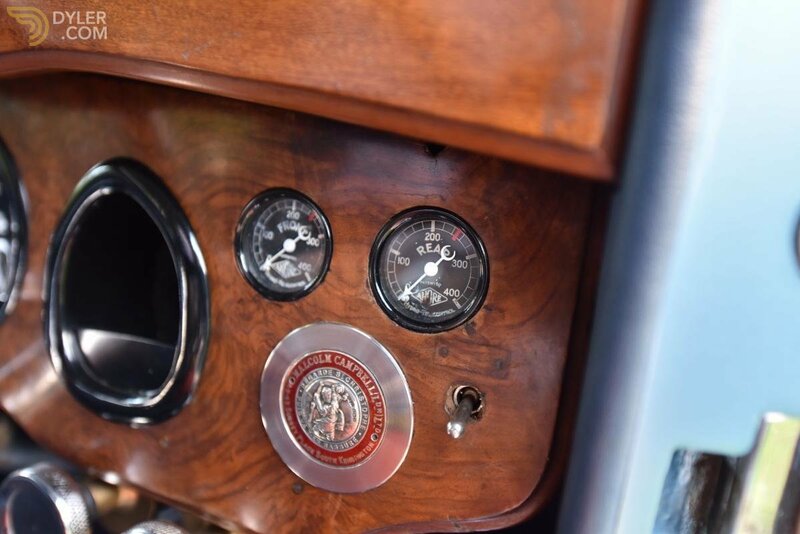 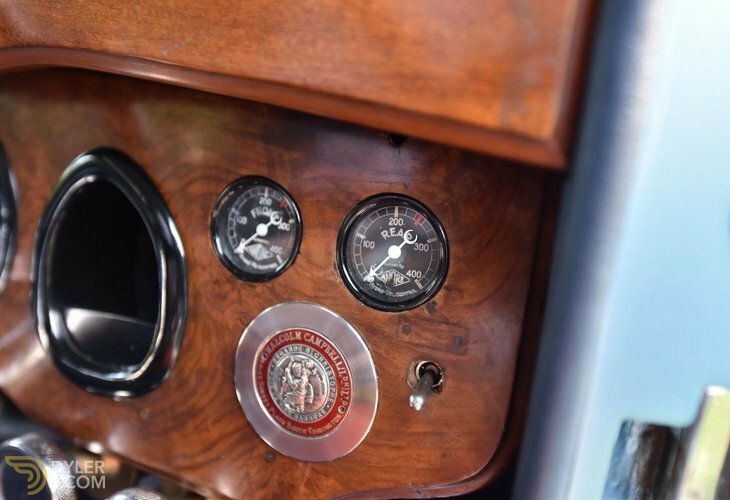 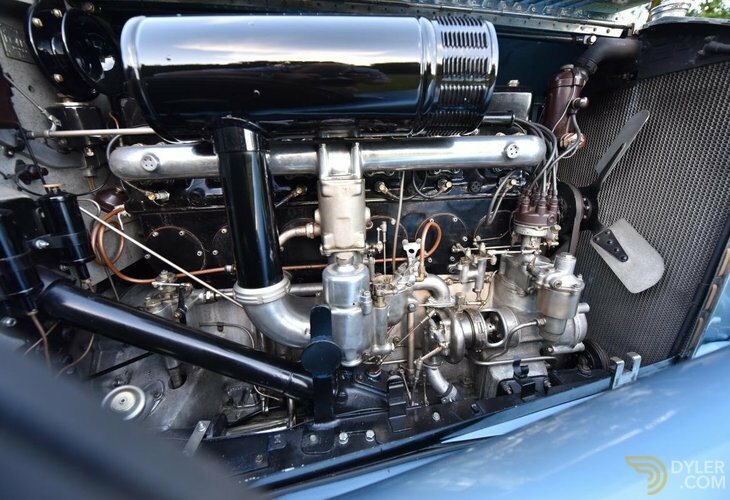 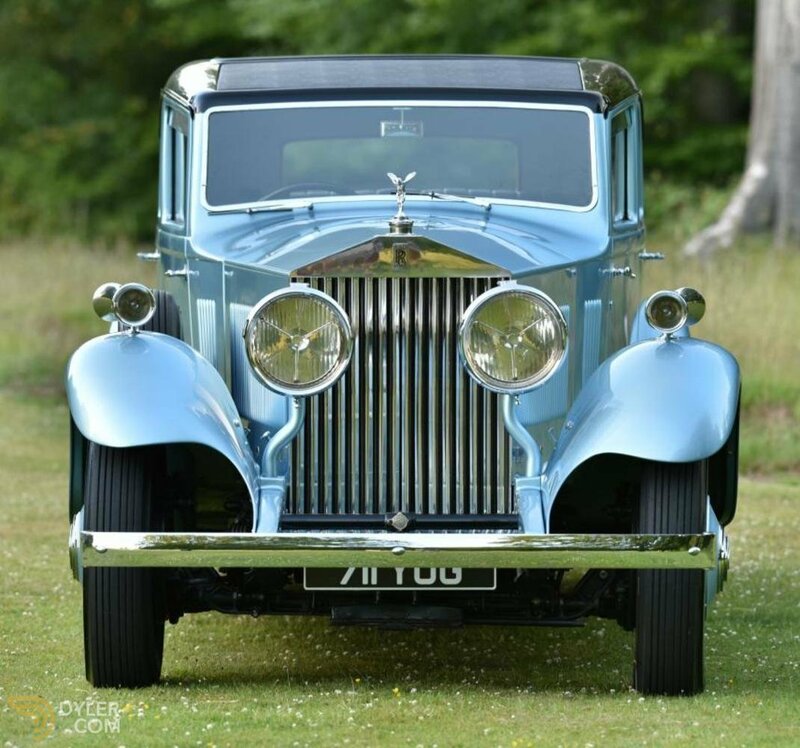 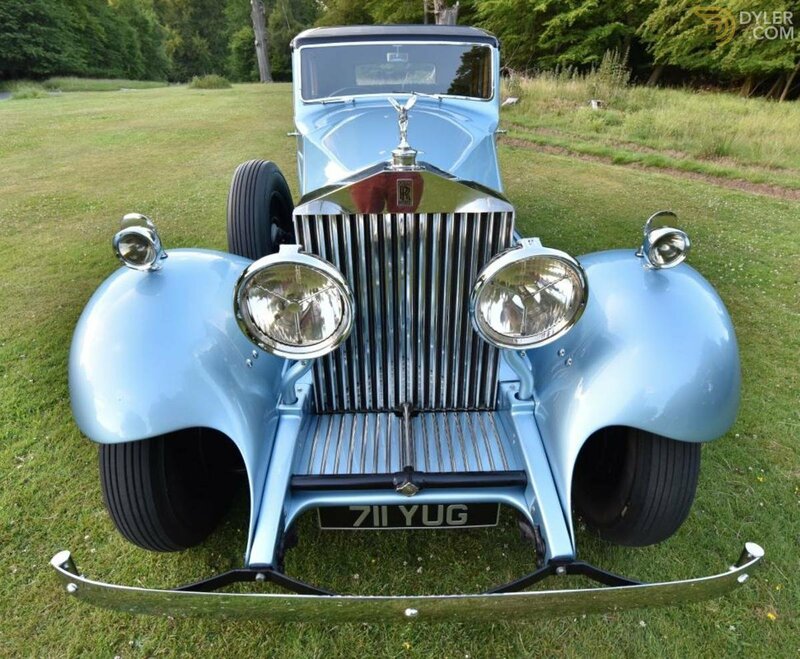 Vintage and Prestige Fine Motor Cars are proud to be offering this 1933 Rolls Royce Phantom II Continental for sale currently having FULL mechanical restoration. 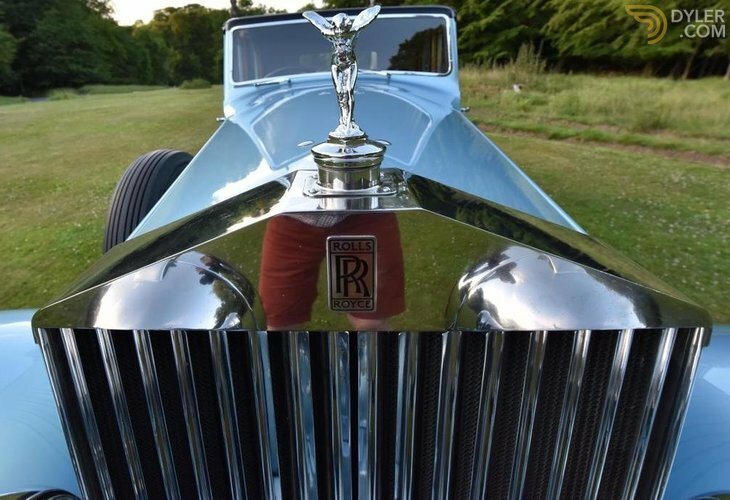 This is a very important historical Rolls Royce with provenance. 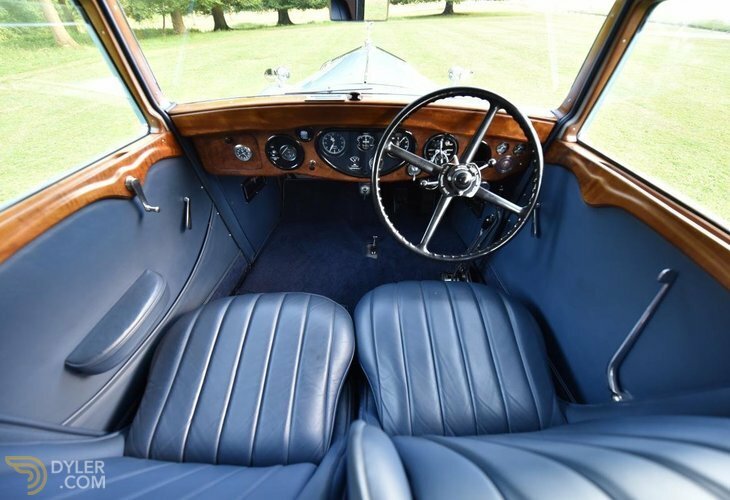 Built for Captain Sir Malcolm Campbell 1885-1948 who was the World record holder for speed on Land and on water during the 1920s and 1930s. 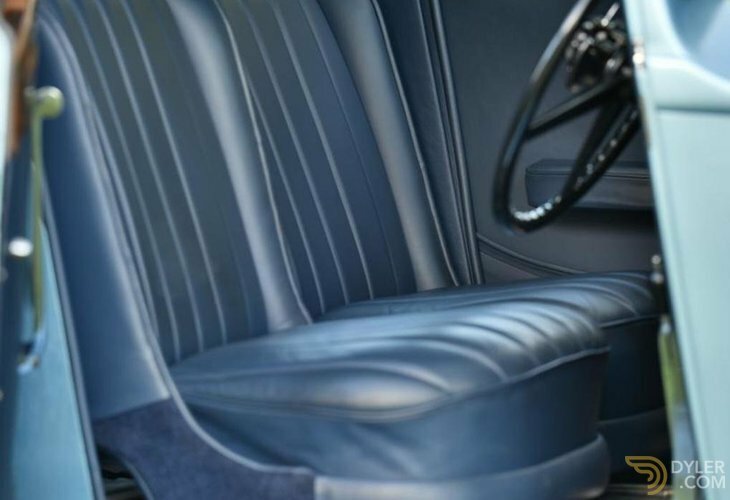 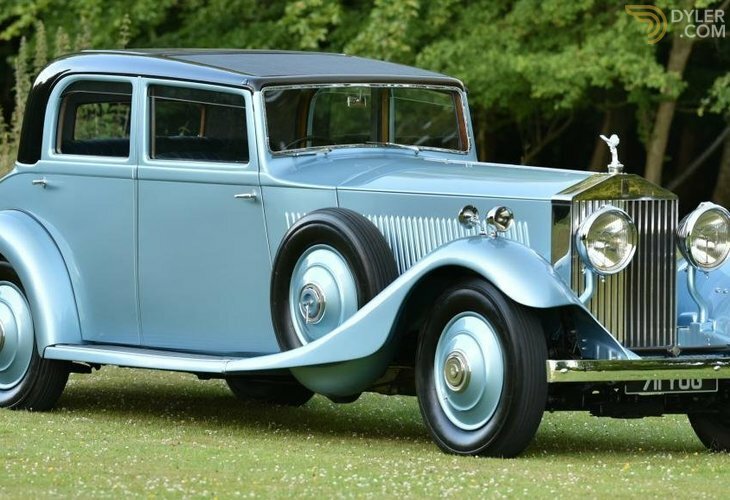 Originally registered AGO 1, the Rolls Royce Phantom II Continental is mentioned in Raymond Gentiles book - The ROLLS ROYCE PHANTOM ll CONTINENTAL. 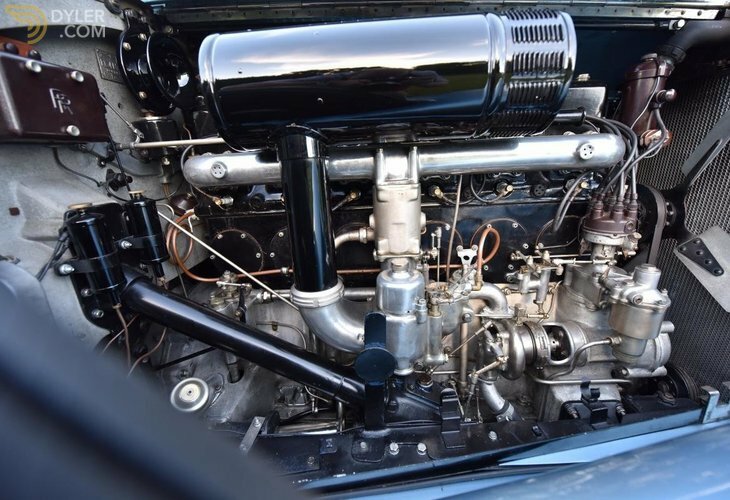 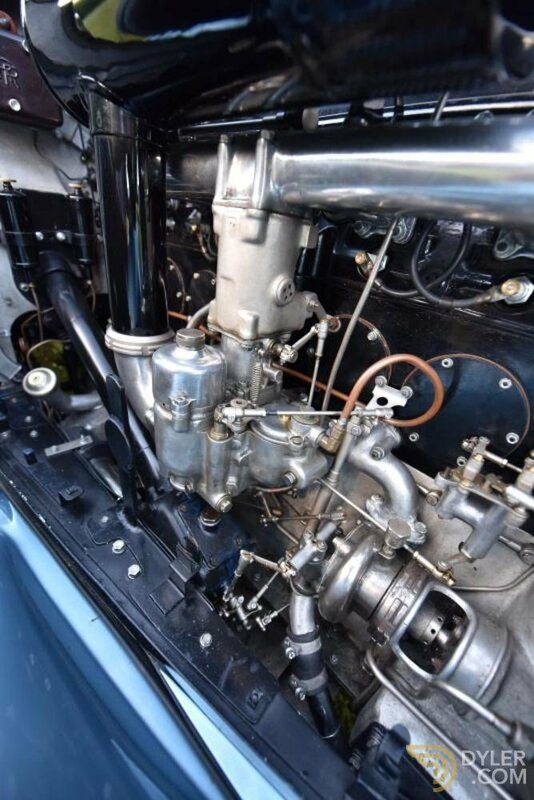 This very important car chassis 140-MY engine GF-45 was built specially, and sold new to world land speed record holder Captain Sir Malcolm Campbell on the 28 March 1933. 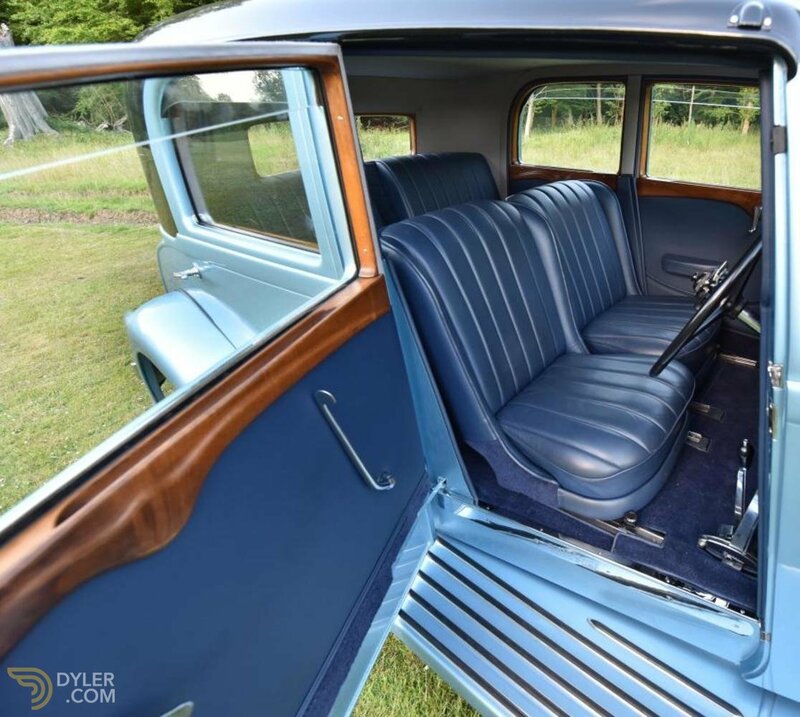 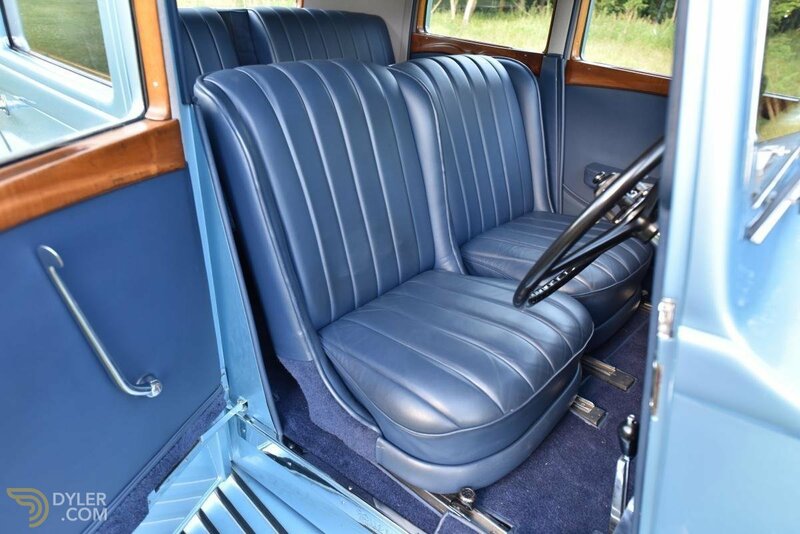 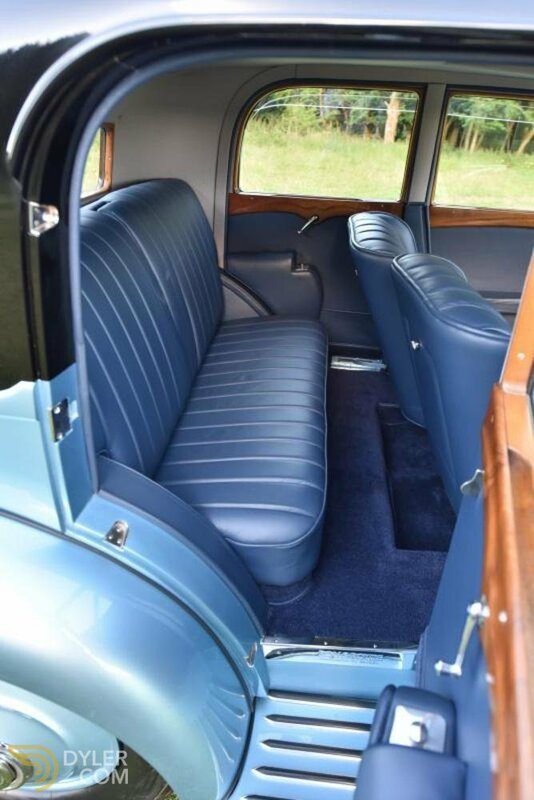 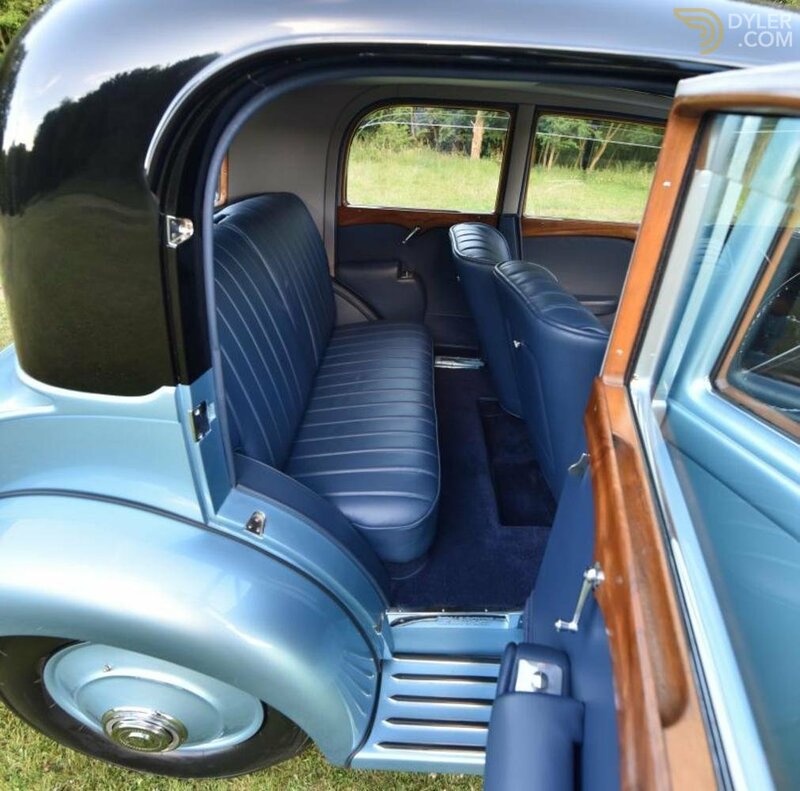 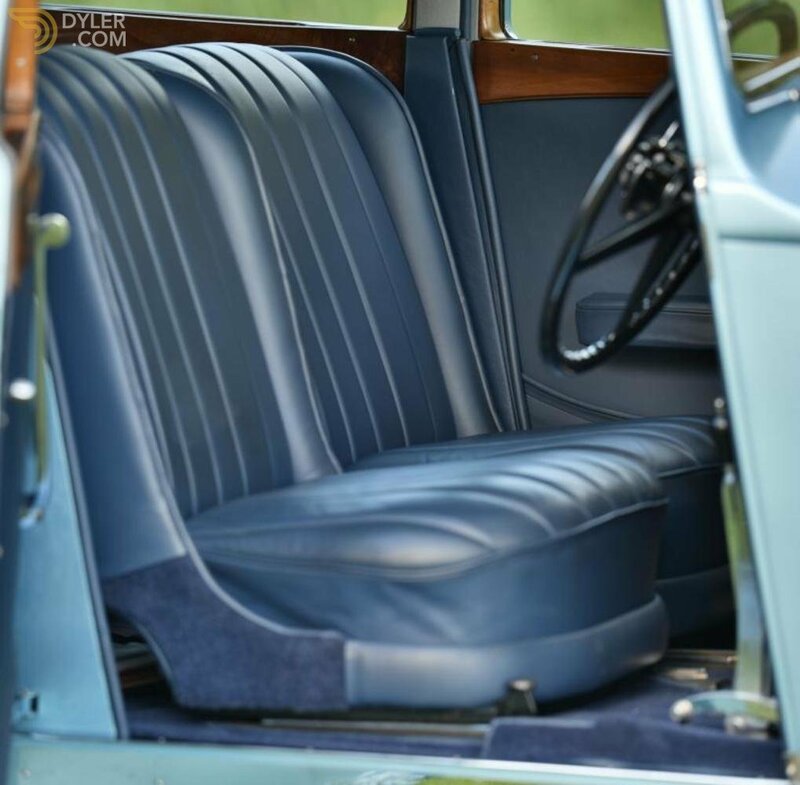 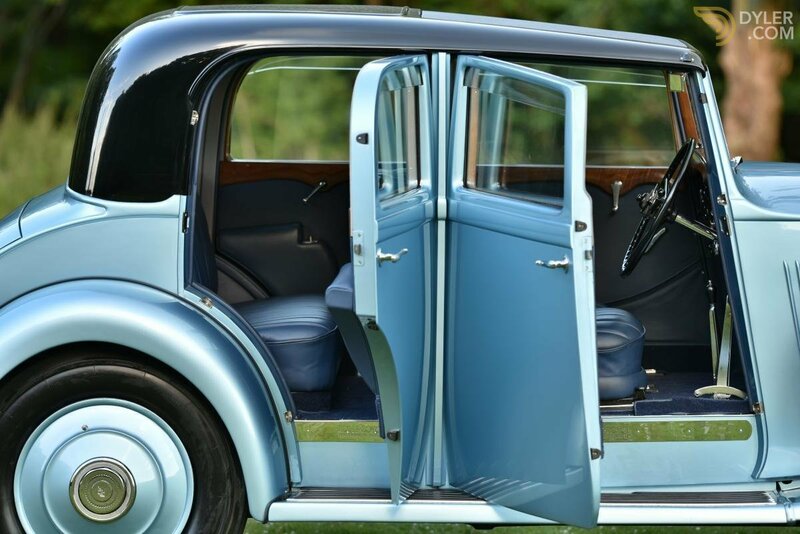 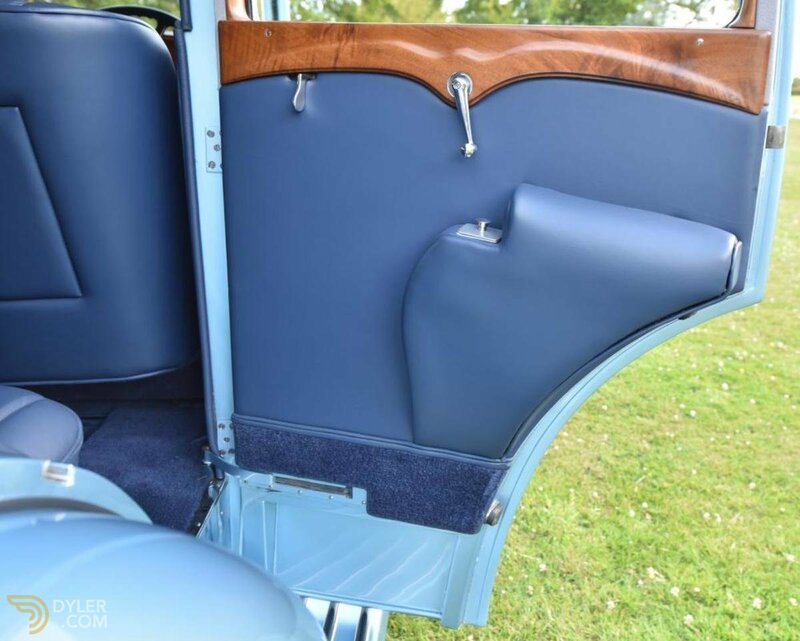 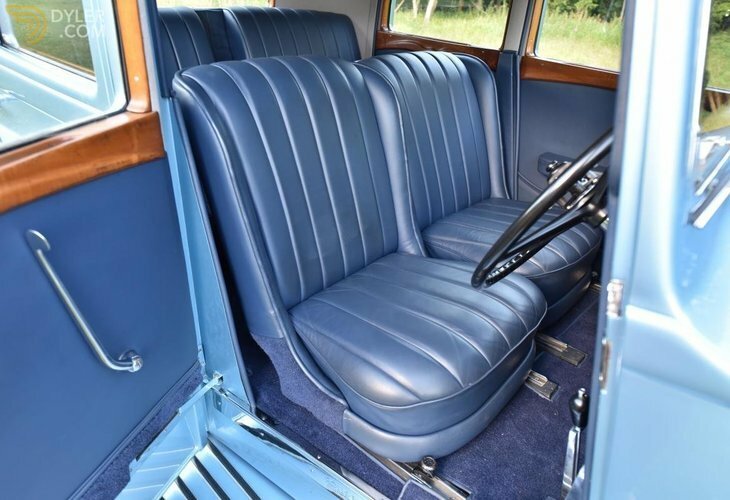 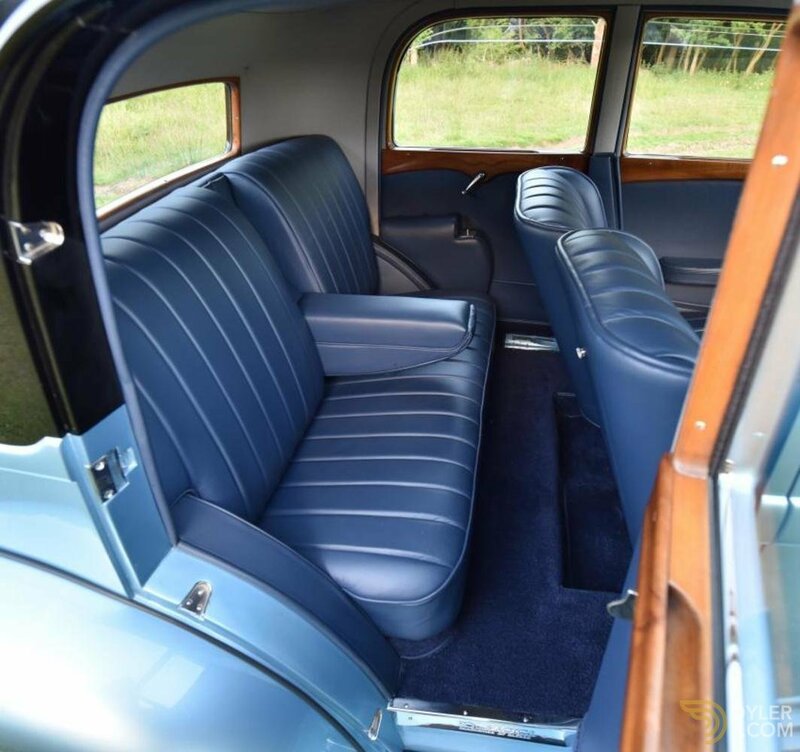 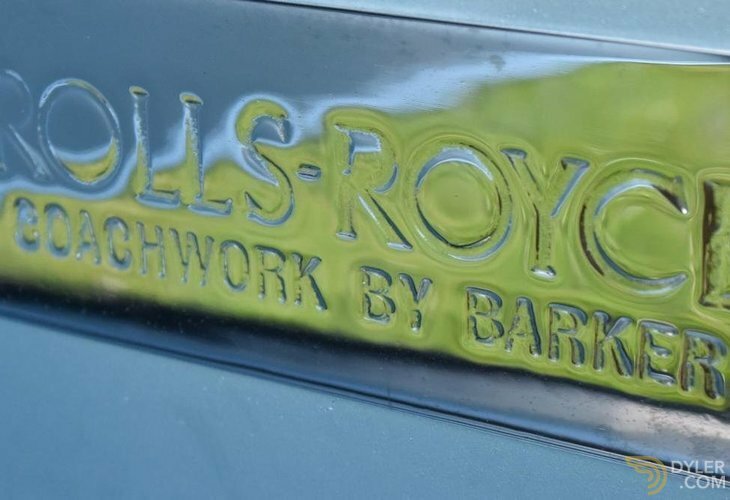 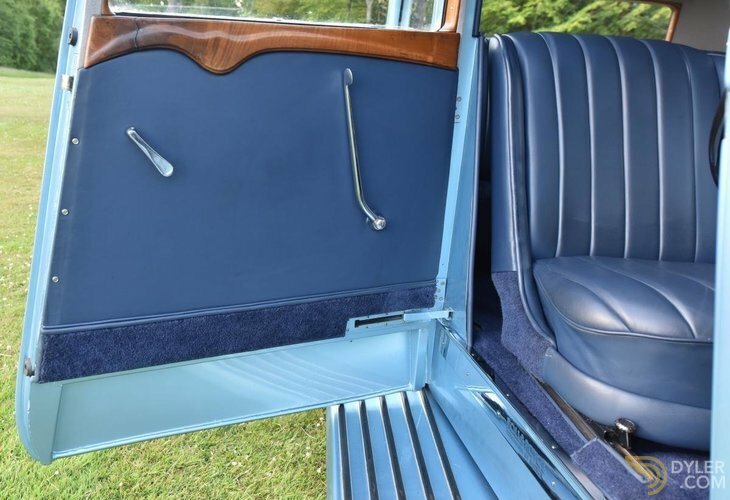 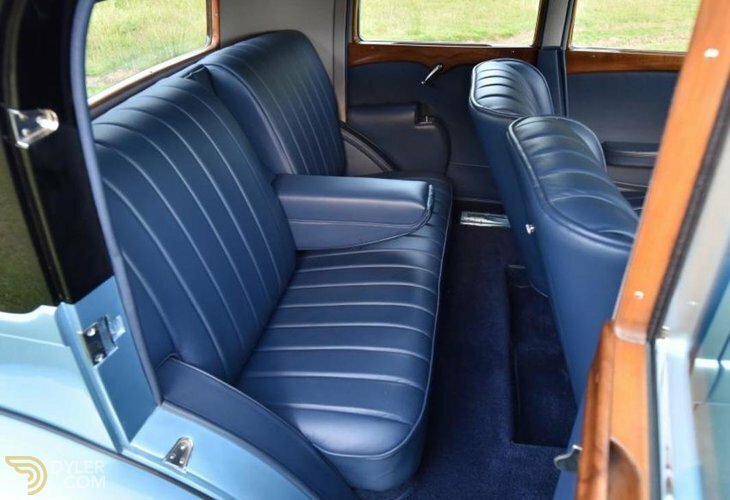 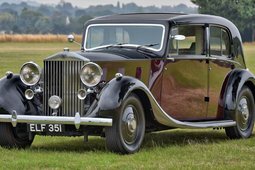 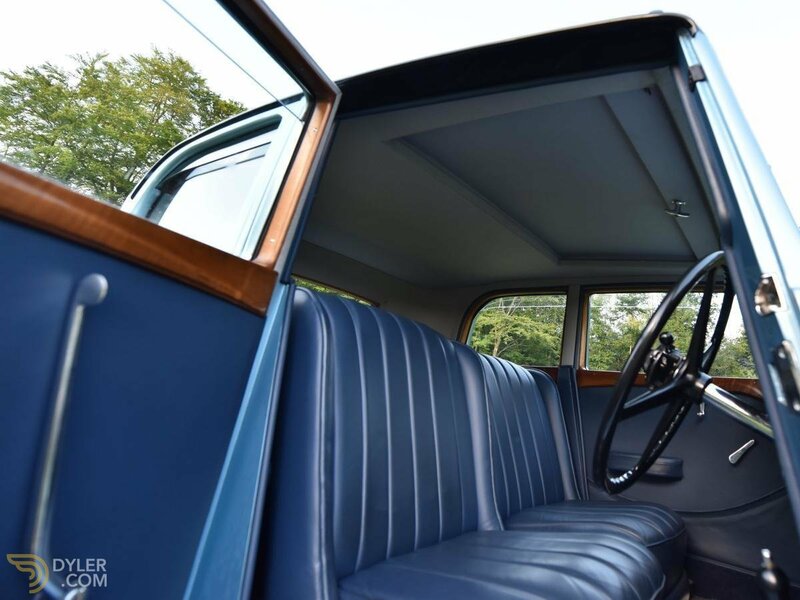 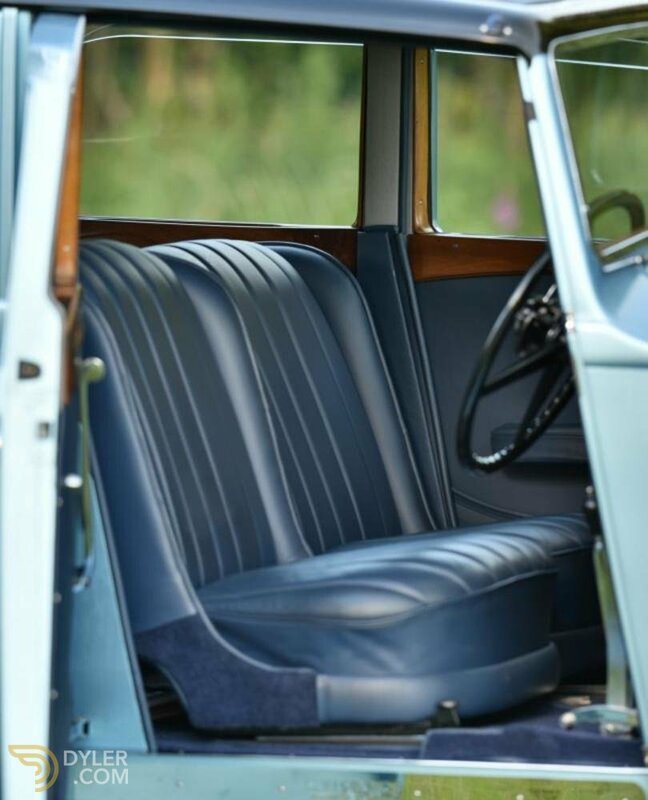 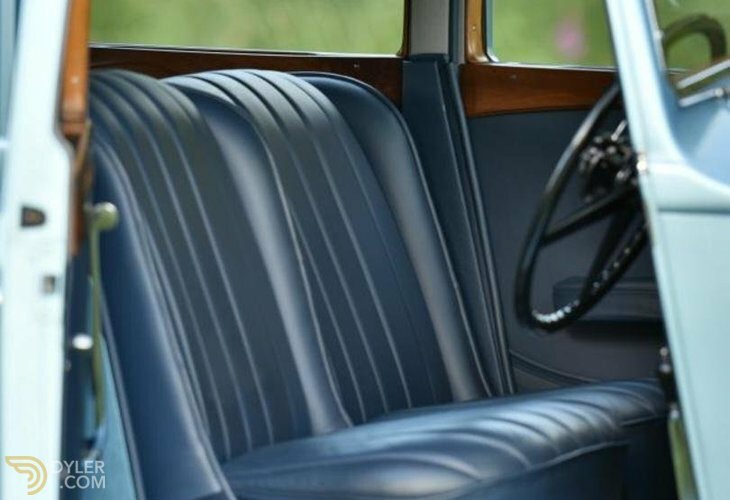 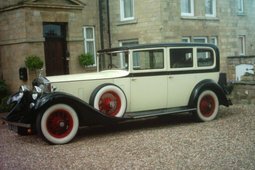 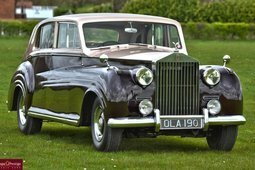 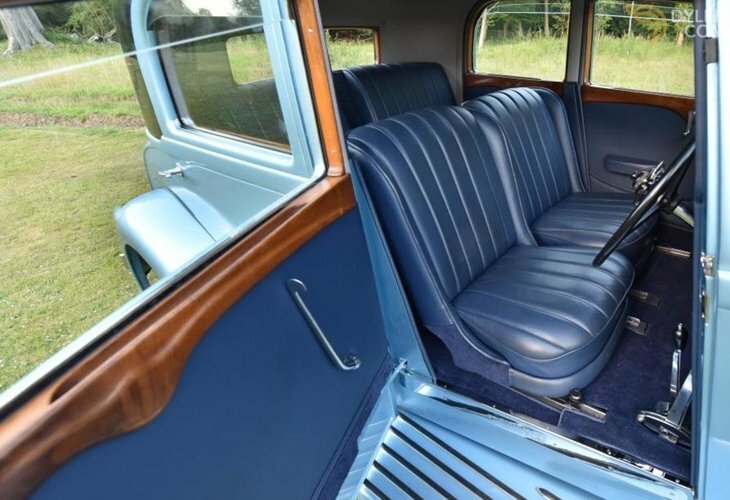 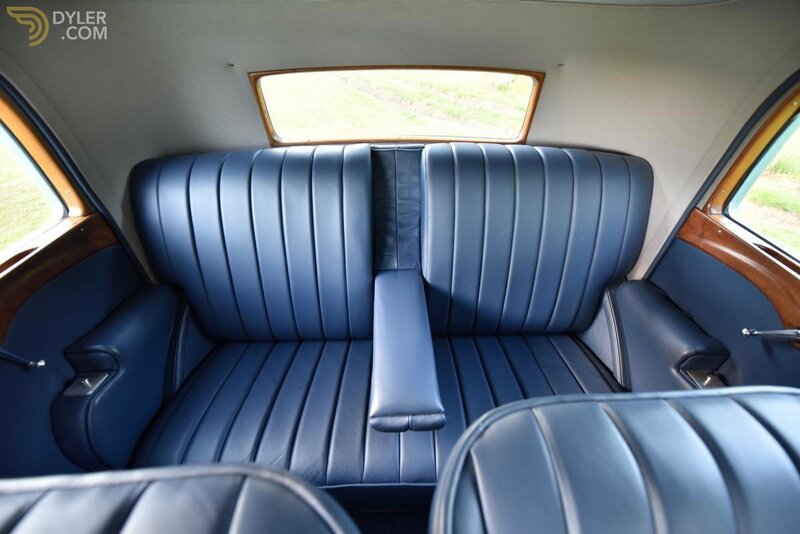 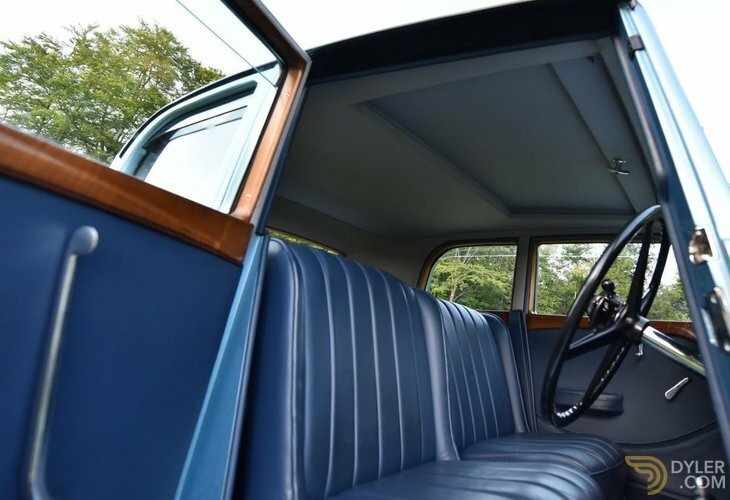 The Rolls Royce Phantom II Continental was supplied as a complete car having been fitted with Barker touring saloon coachwork. 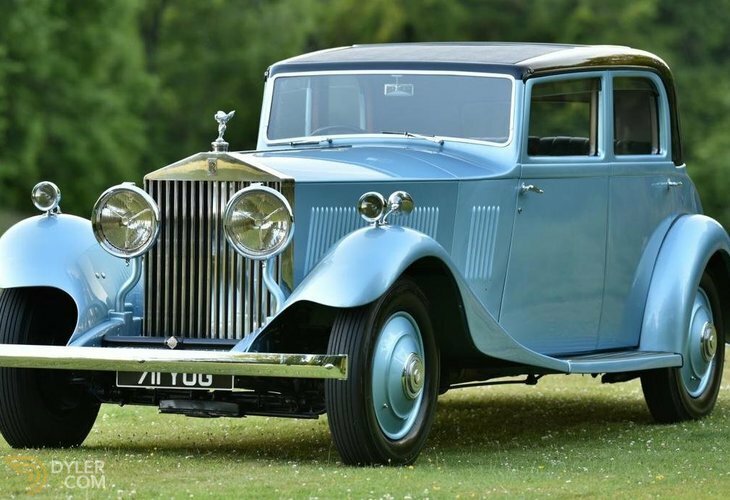 After taking delivery, Captain Sir Malcolm Campbell wrote an article for Rolls Royce entitled ‘The BEST ROLLS-ROYCE Yet Produced’ First Impressions of the New Phantom ll. 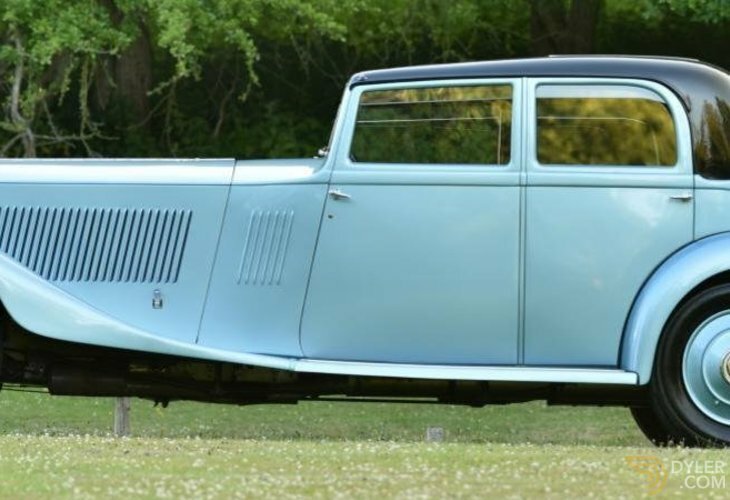 In May 2014, this car was taken to the “Bluebird Café” London and used for the launch of the limited edition Phantom Water-Speed in commemoration of Malcolm breaking the water-speed record on Lake Maggiore Italy in 1937. 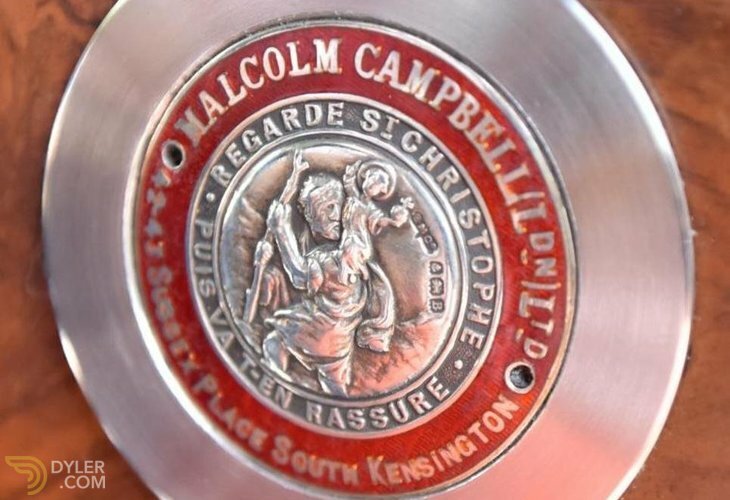 During the launch, Don Wales’s grandson of Malcolm Campbell was introduced to his grandfather’s car. 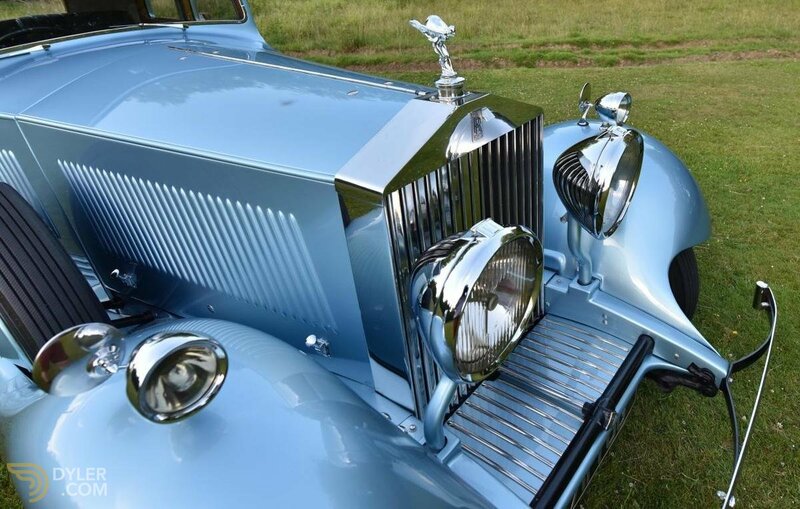 The car also led the parade of Rolls Royce Continentals at the R.R.E.C international in 2014. 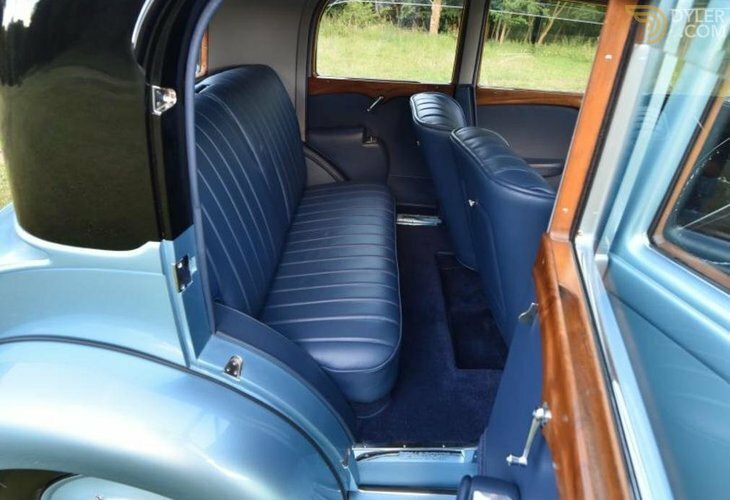 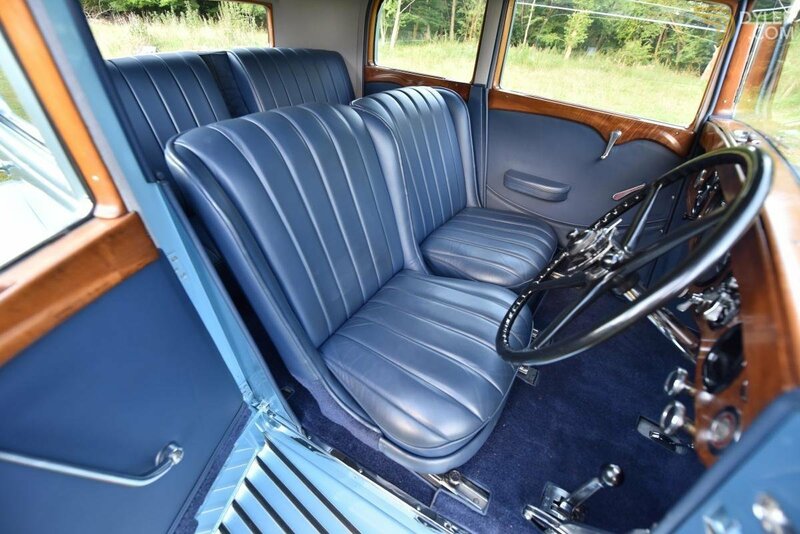 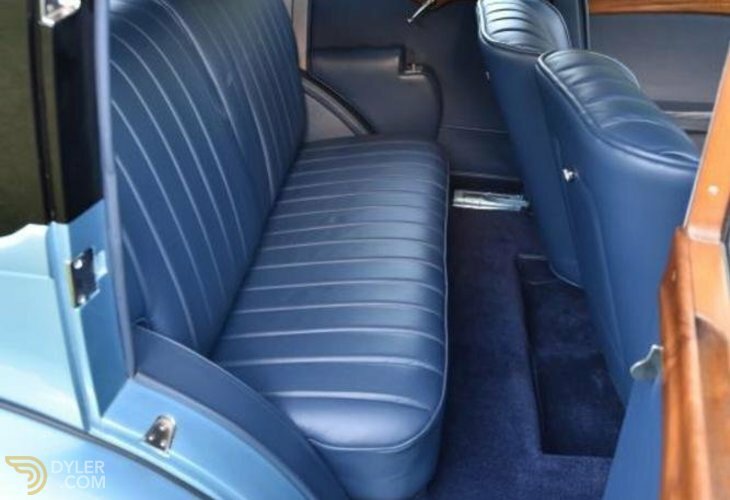 The rare and desirable Rolls Royce continental specification was a short chassis version of the Rolls Royce phantom with sports pack including lower floor and a low-rake steering column, wider track, higher axle ratio, André Hartford tele-friction dampers as well as Rolls Royce’s own and sports continental springs. 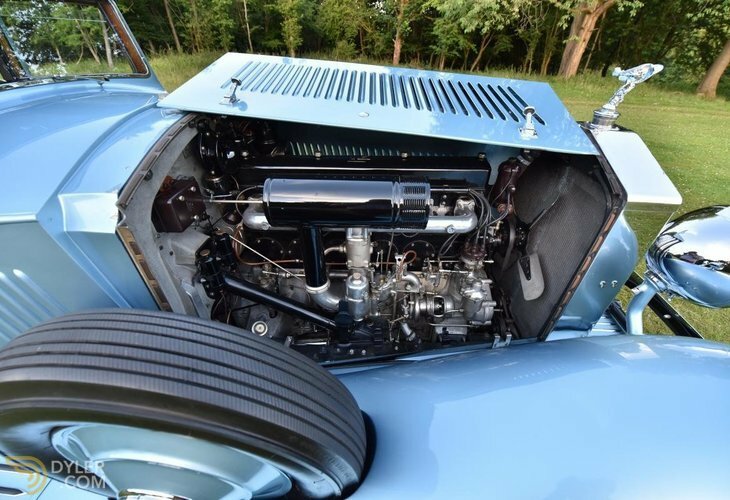 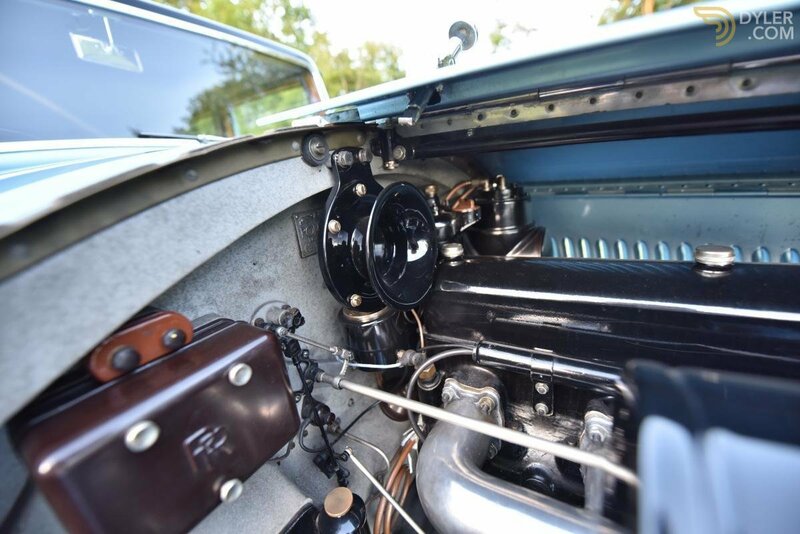 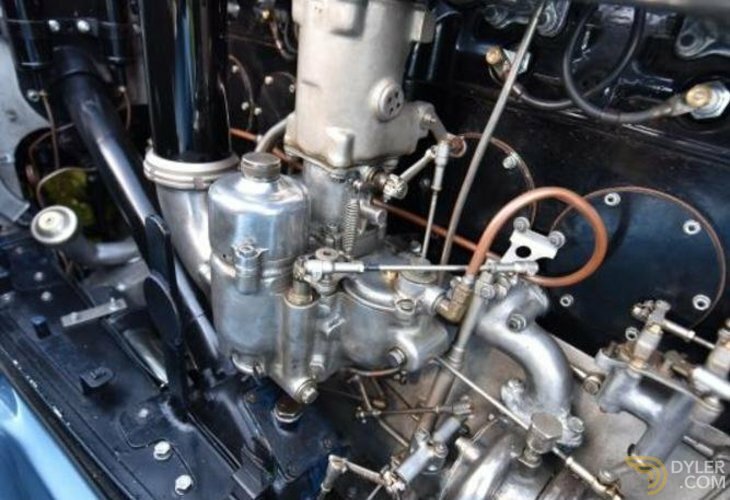 The ‘My Chassis’ series also had a higher compression engine, high lift camshaft and Rolls Royce’s own semi expanding carburetor The restoration of 140my Rolls Royce Phantom 11 Continental Barker bodied sports tourer, Photographic evidence of the commencement of restoration is in the a photo album, that is in the Rolls Royce Phantom II Continental. 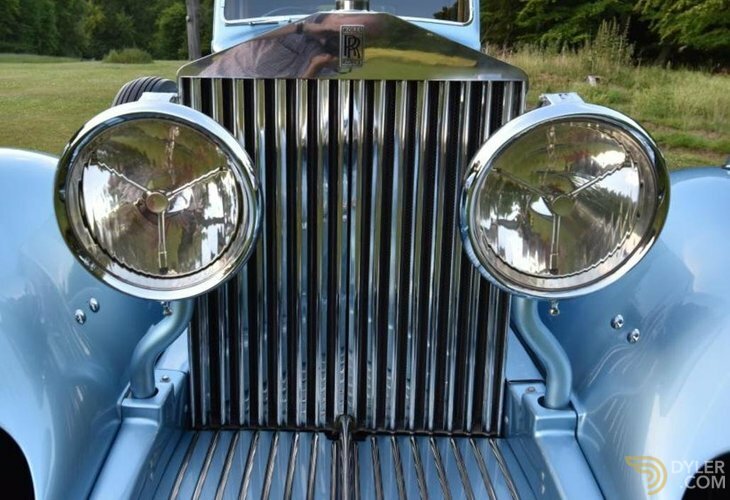 The original restorer was a Mike De-Costa from Sarasota Florida USA. 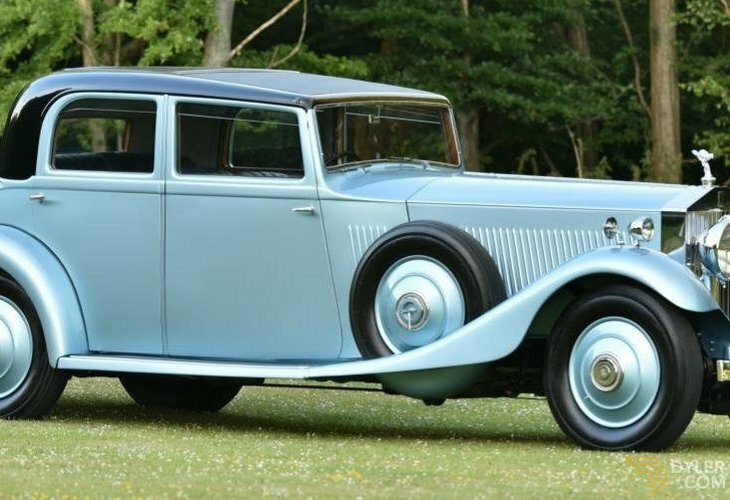 We do not know how the Rolls Royce Phantom II Continental got to America but on the paper work in hand writing it suggests that the Rolls Royce Phantom II Continental was given to the Royal Air Force by the Campbell family? 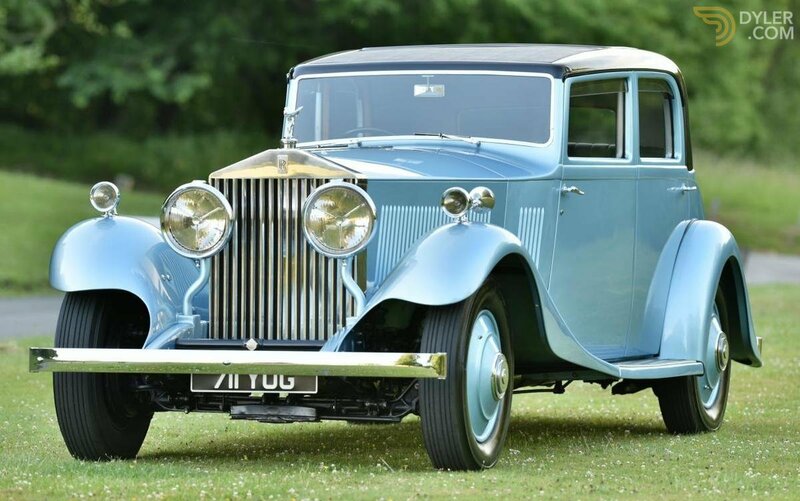 Mike started work in 1983 (date stamped on the back of the photos); unfortunately he died while the work was in progress and his widow entered the Rolls Royce Phantom II Continental for auction. 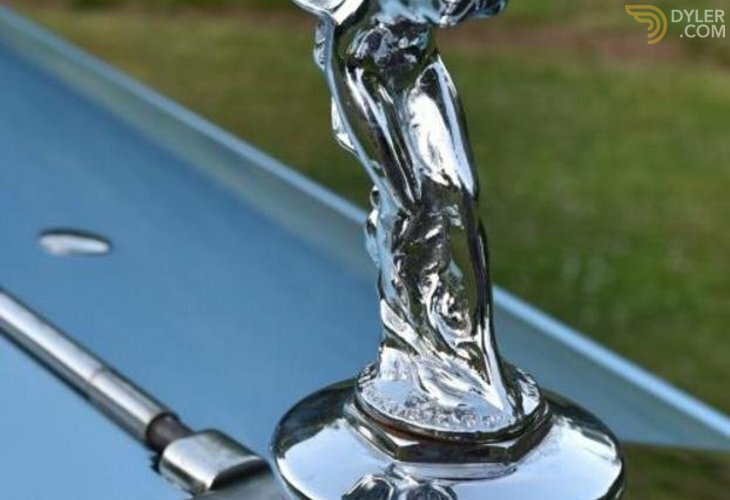 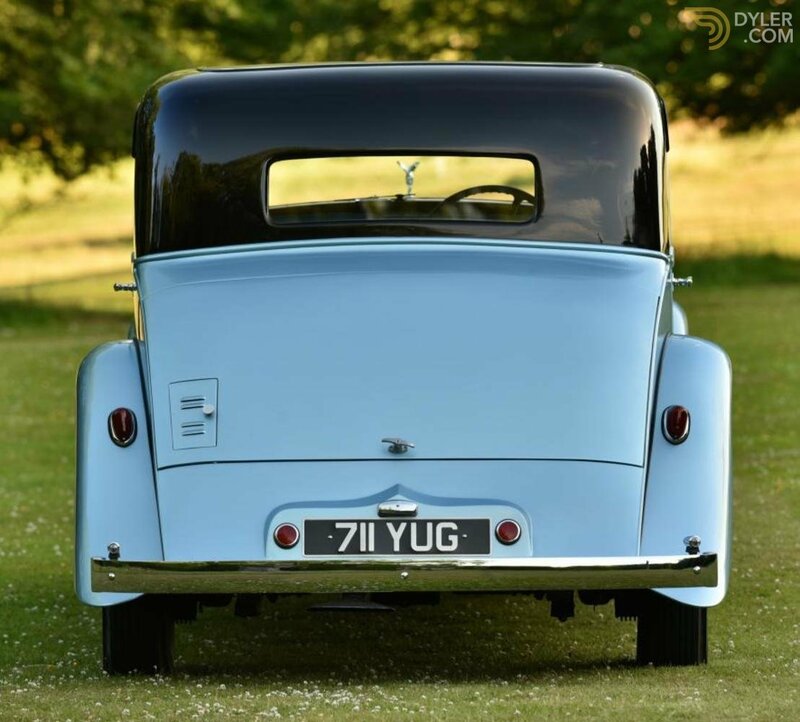 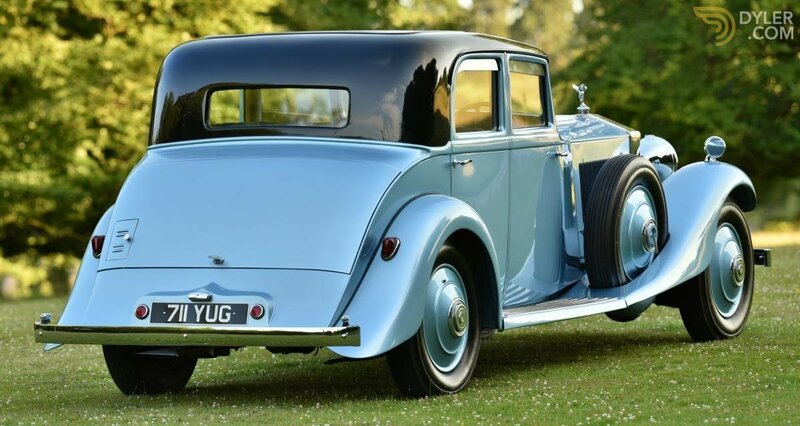 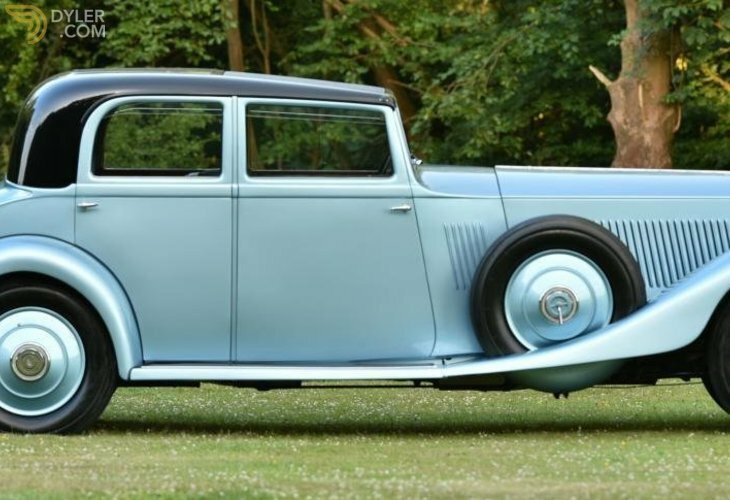 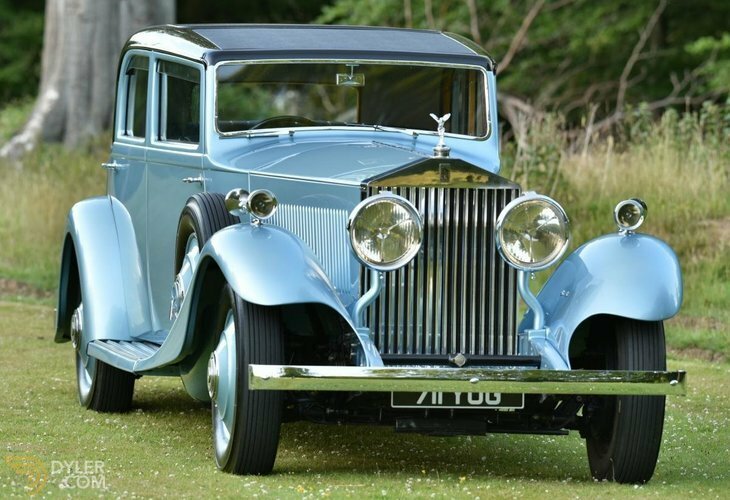 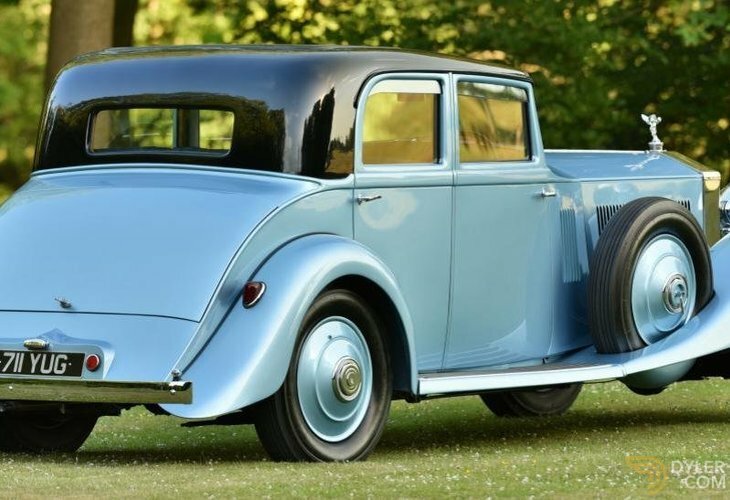 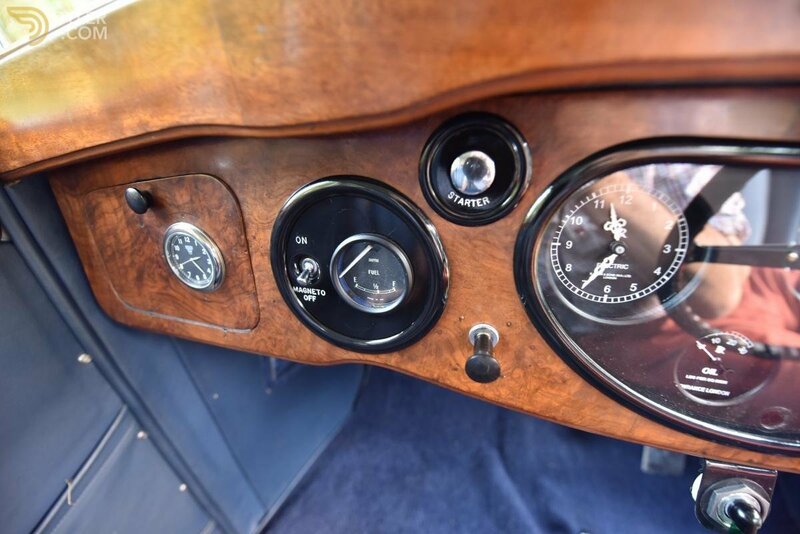 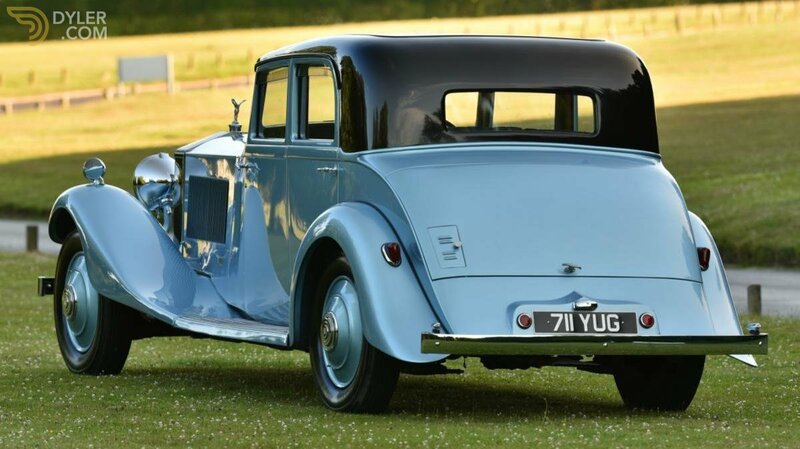 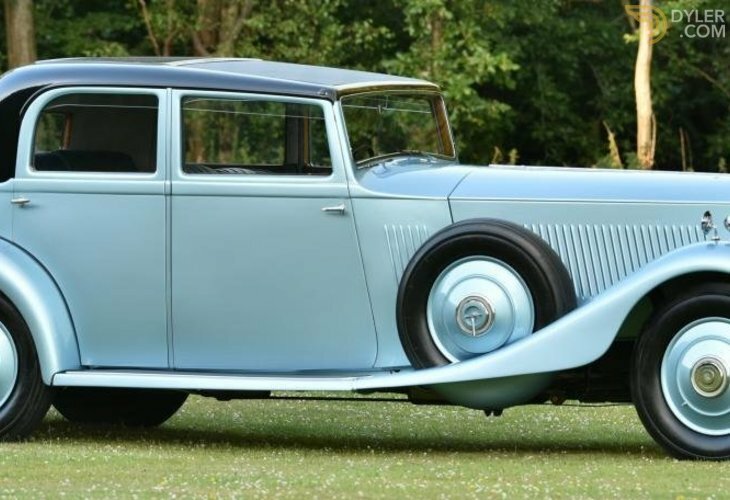 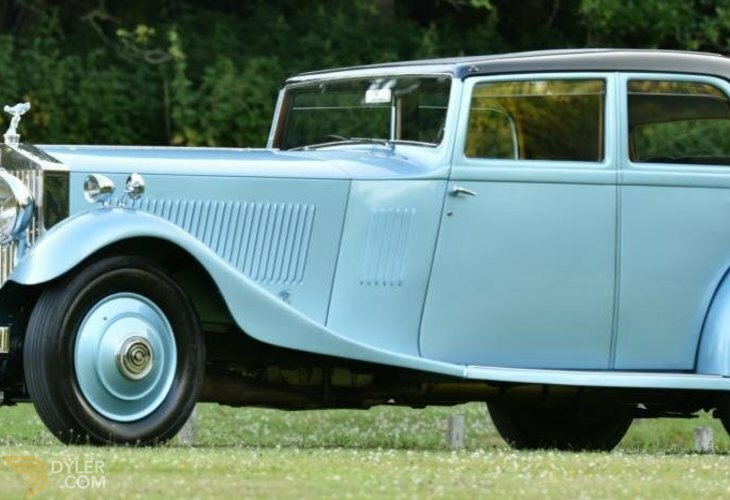 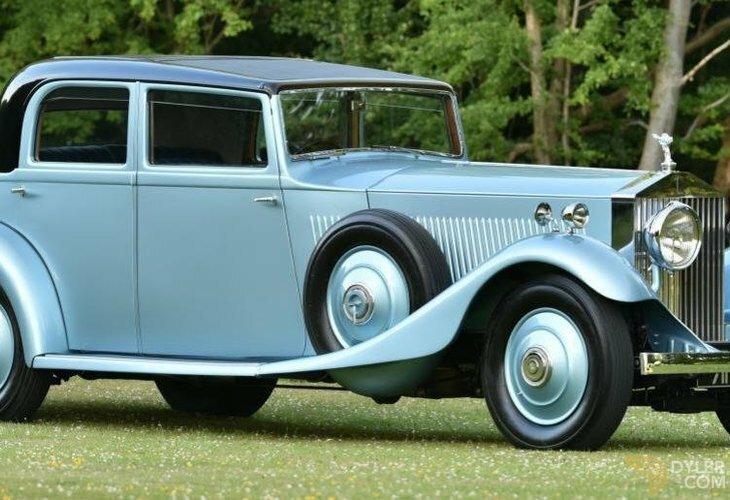 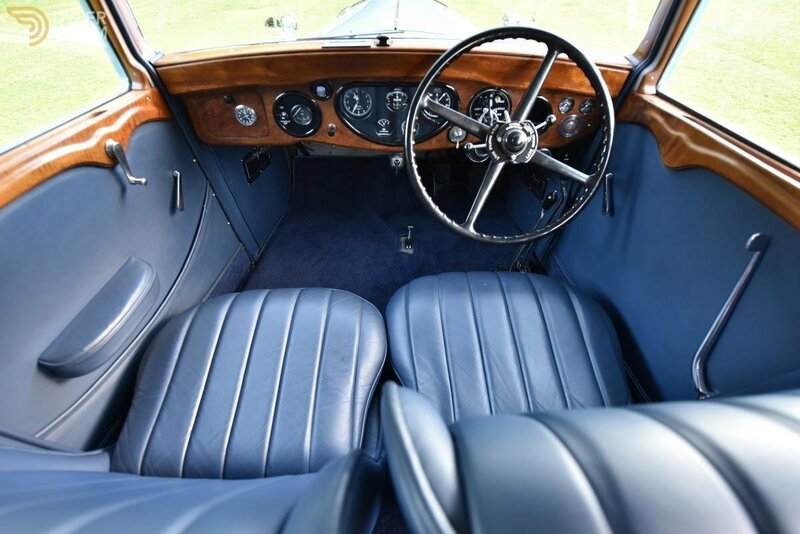 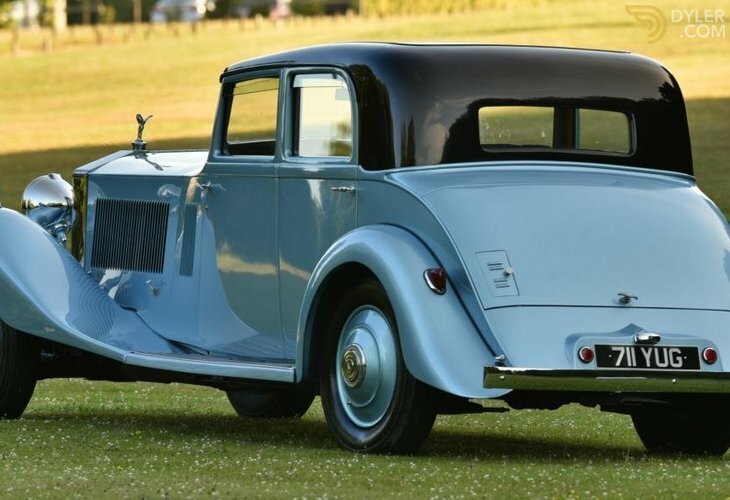 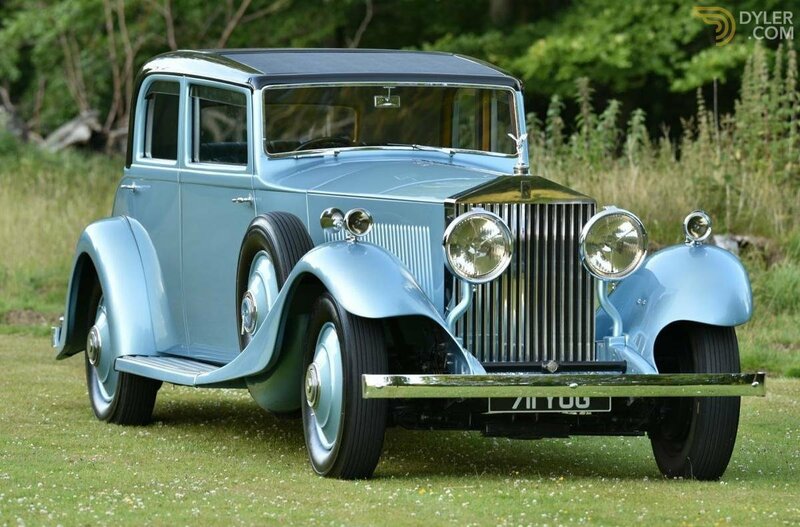 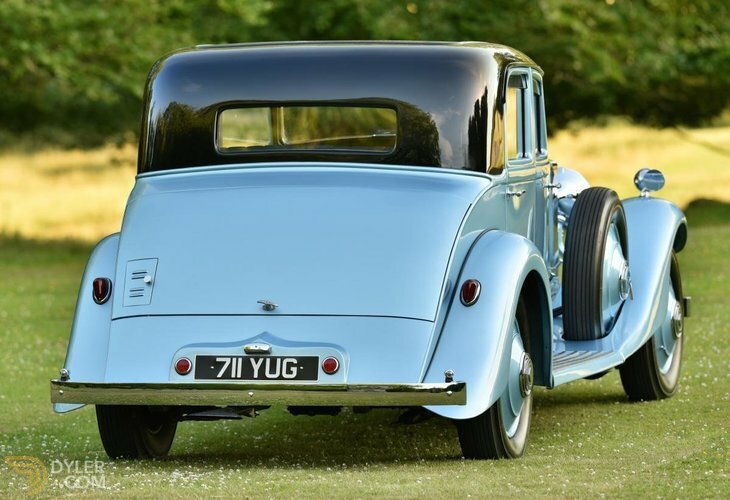 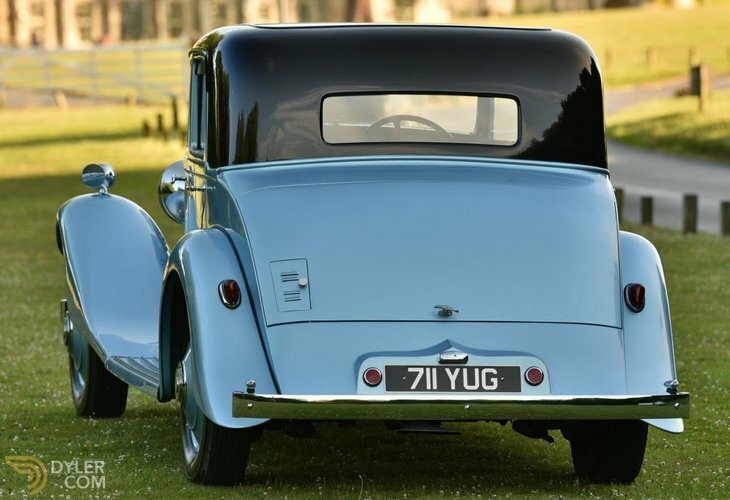 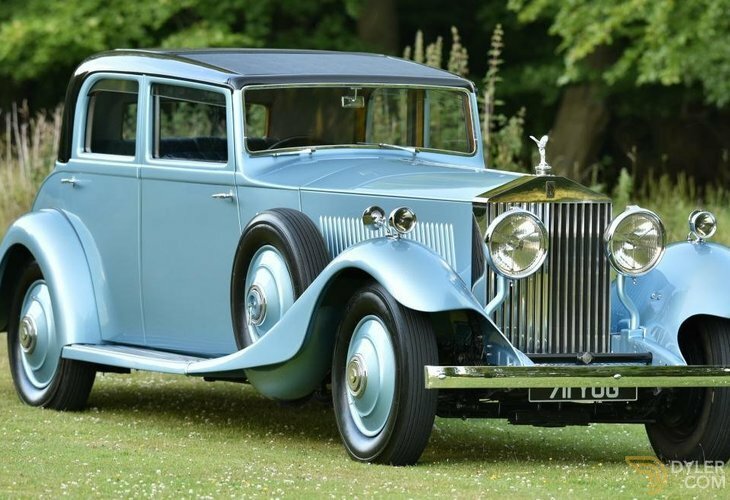 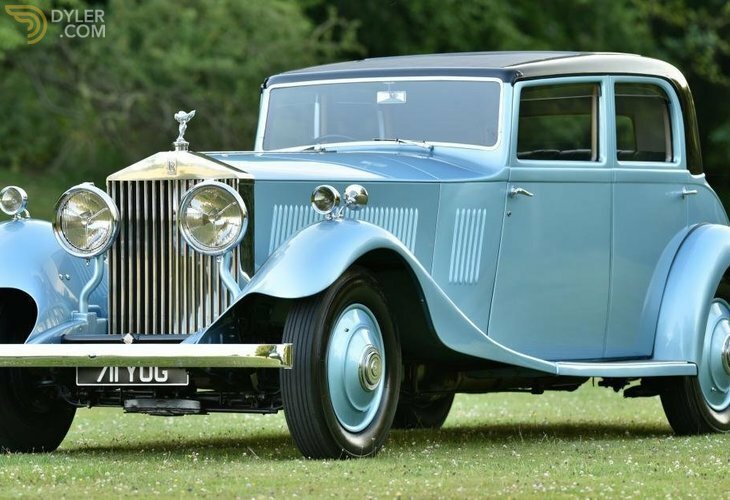 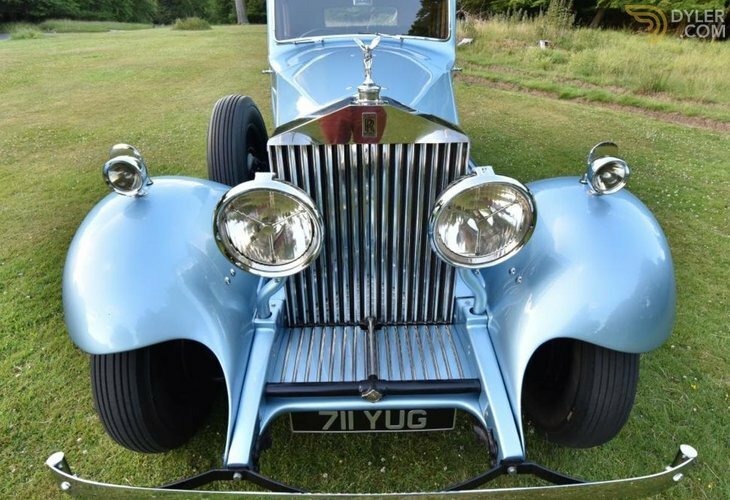 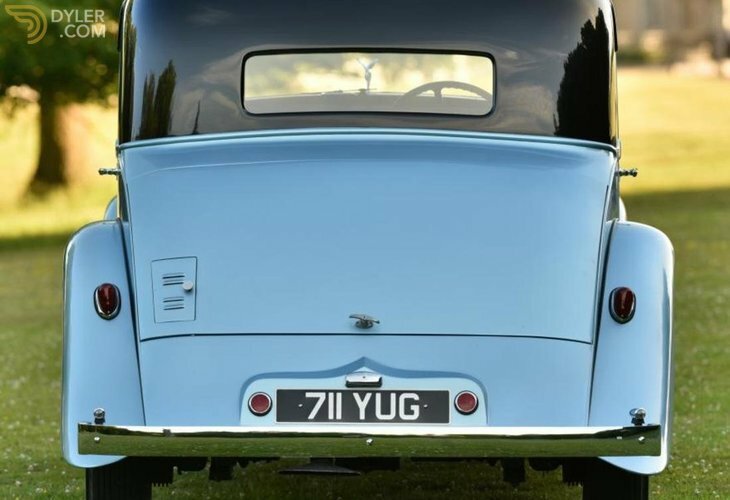 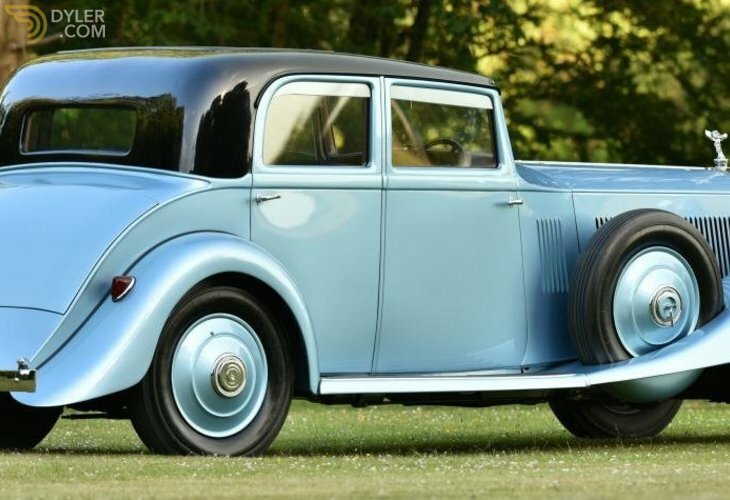 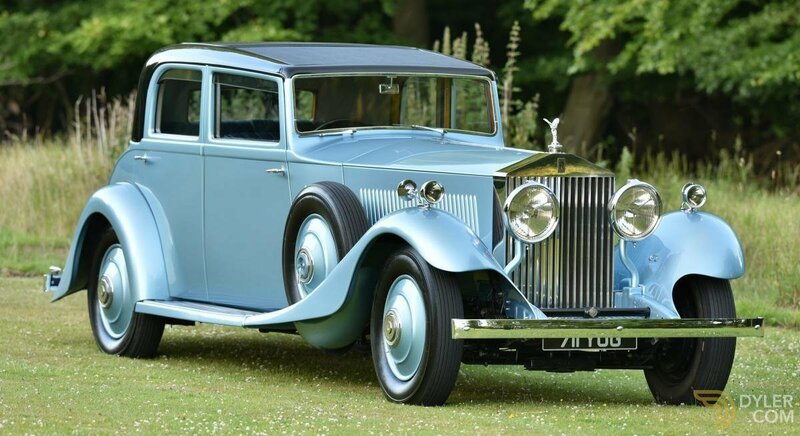 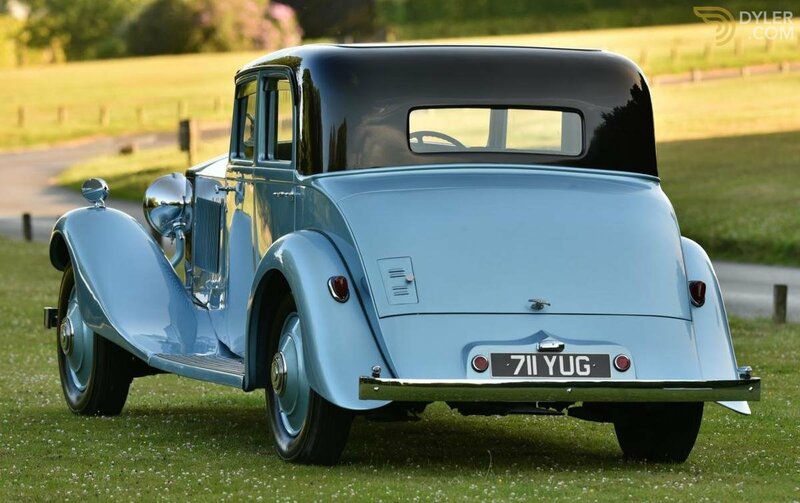 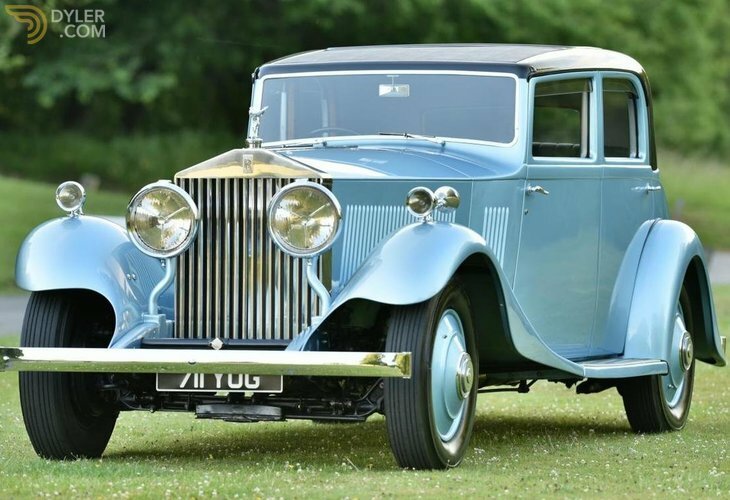 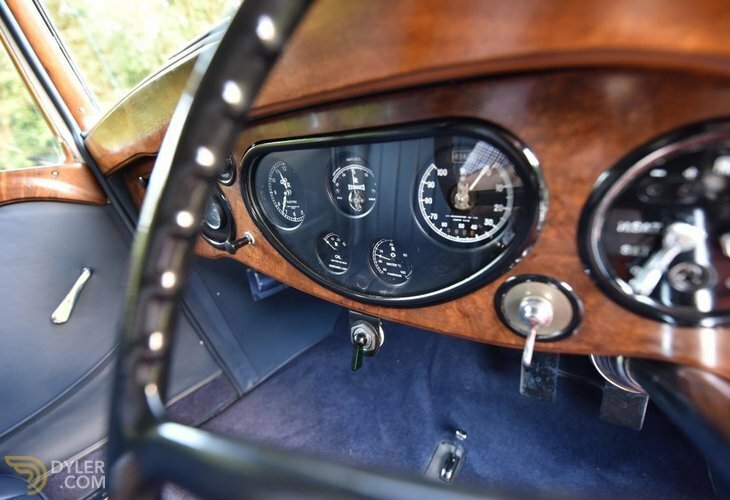 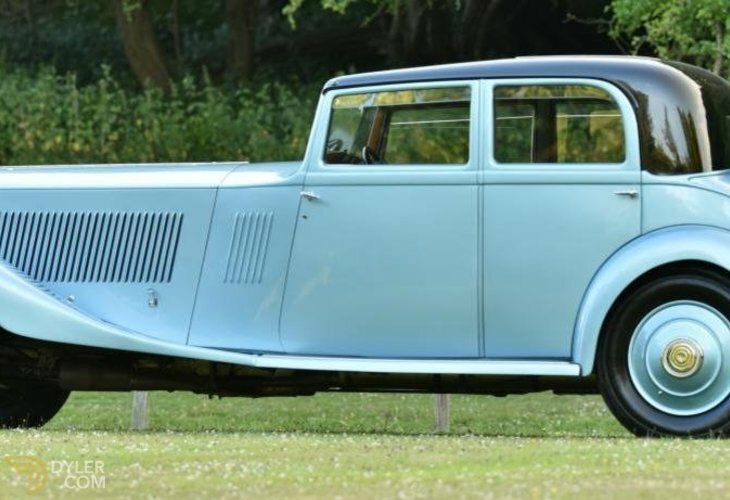 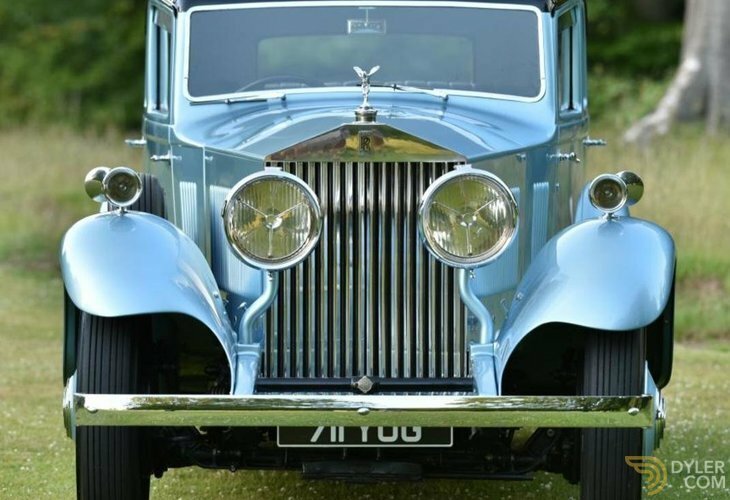 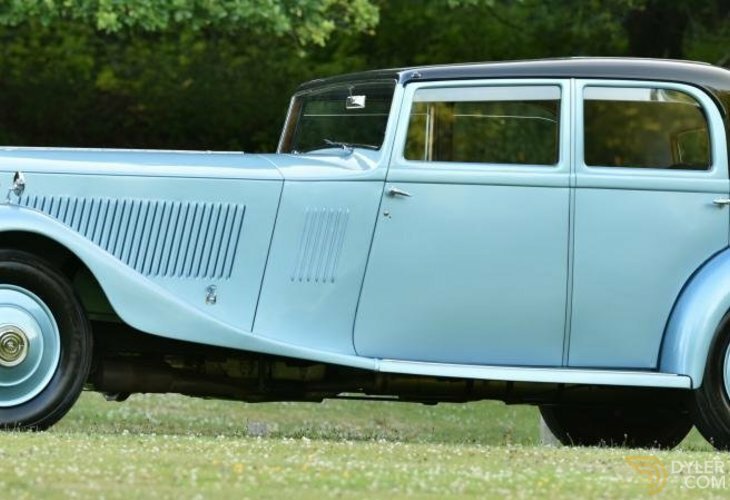 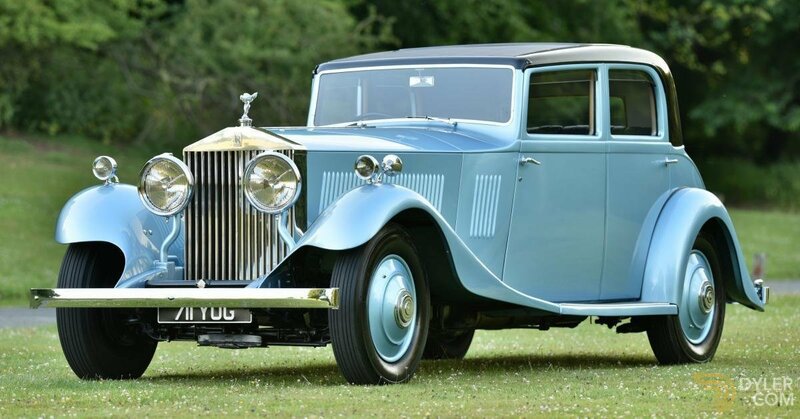 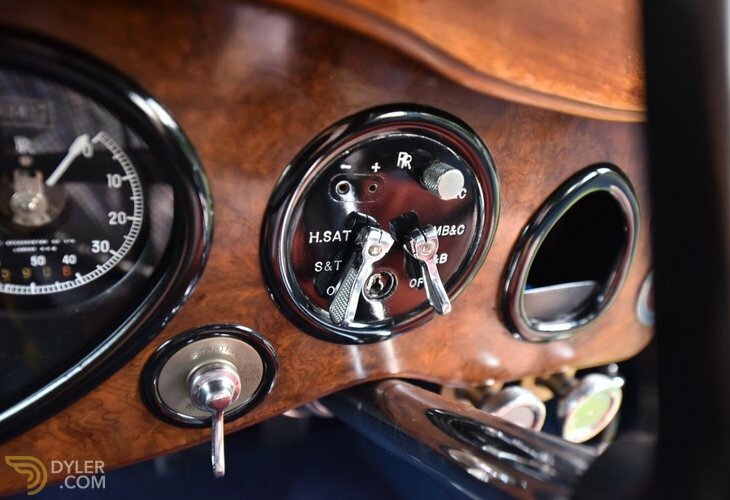 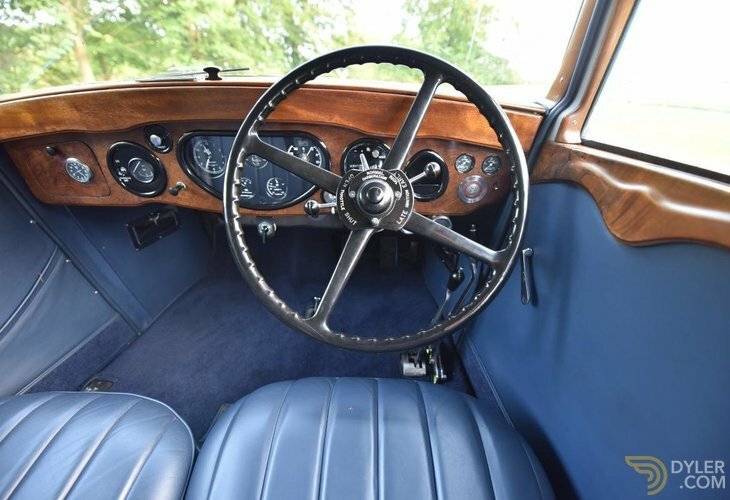 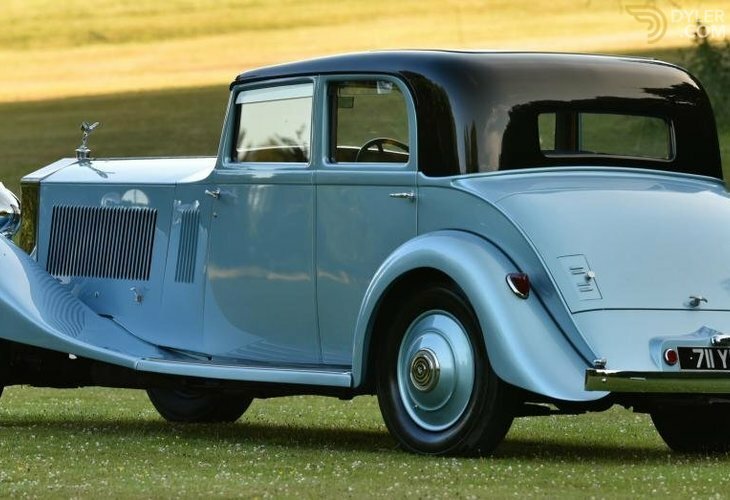 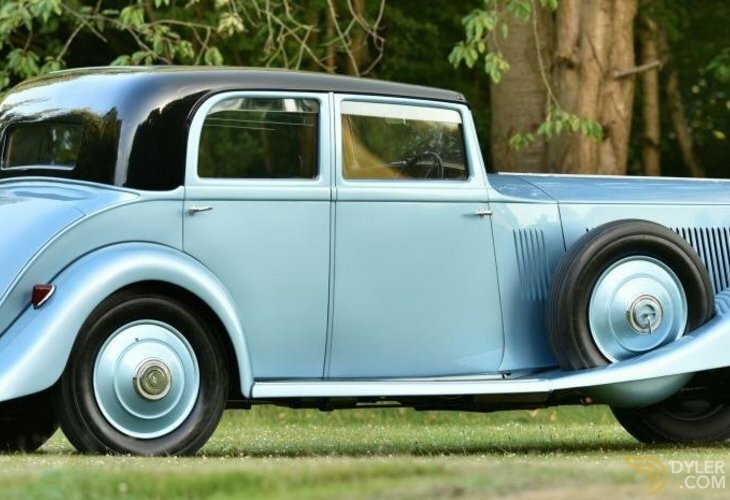 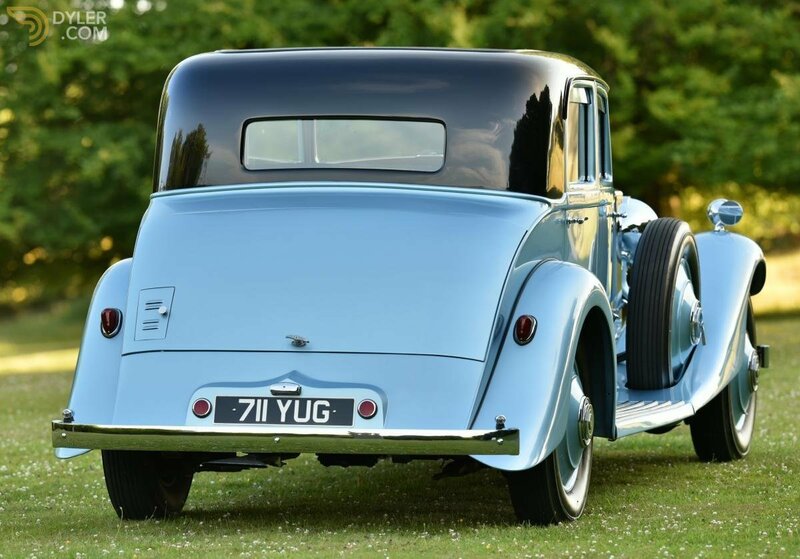 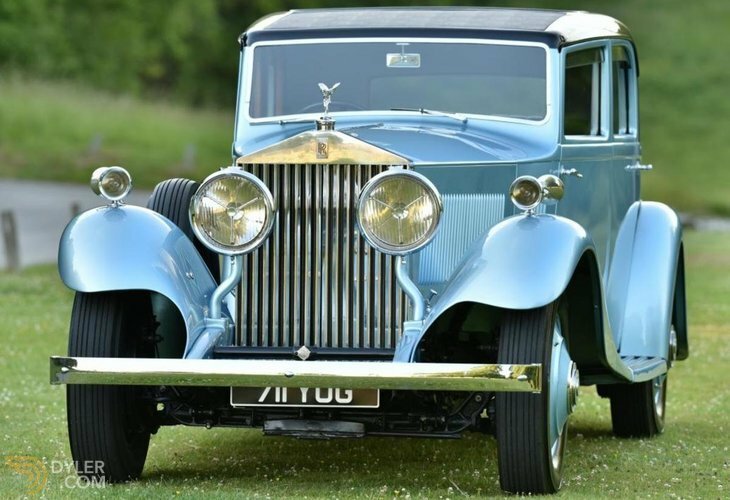 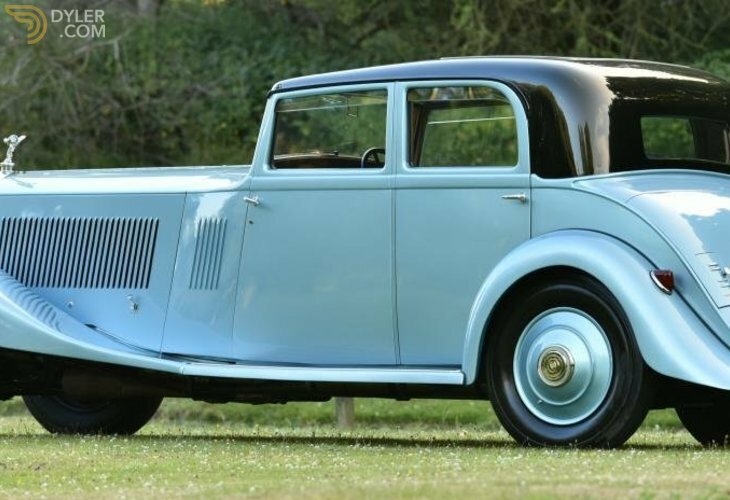 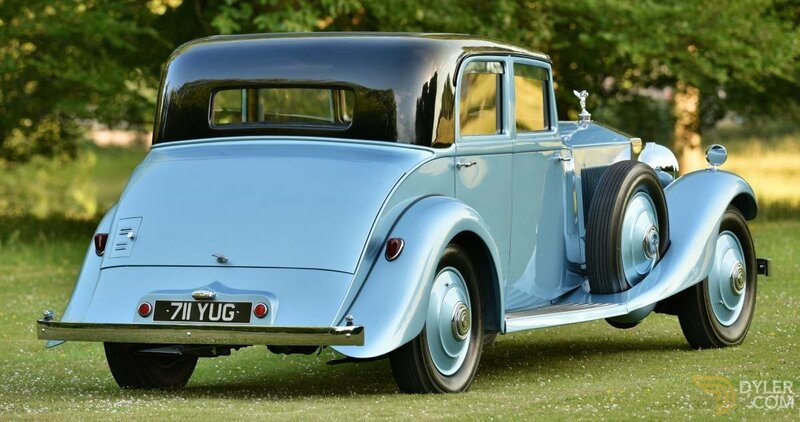 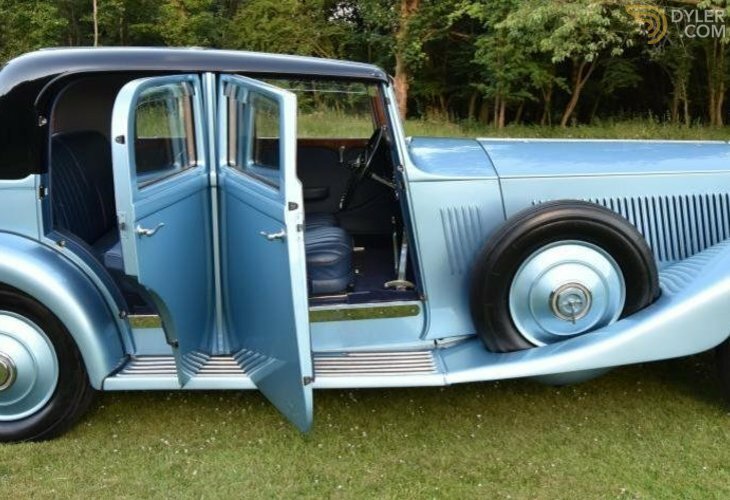 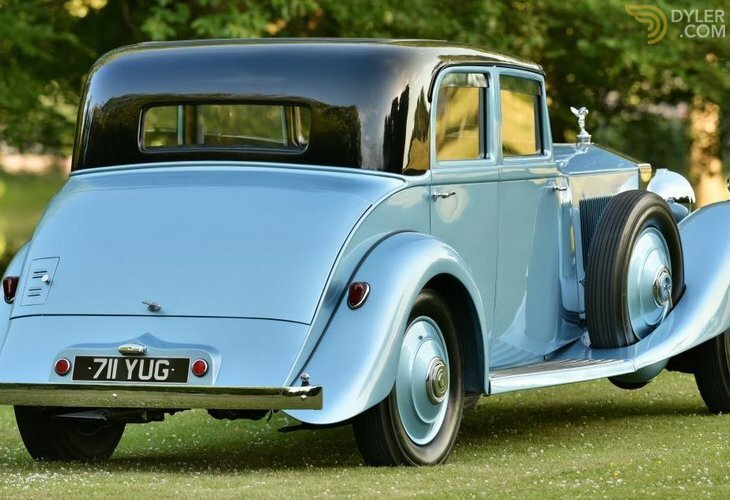 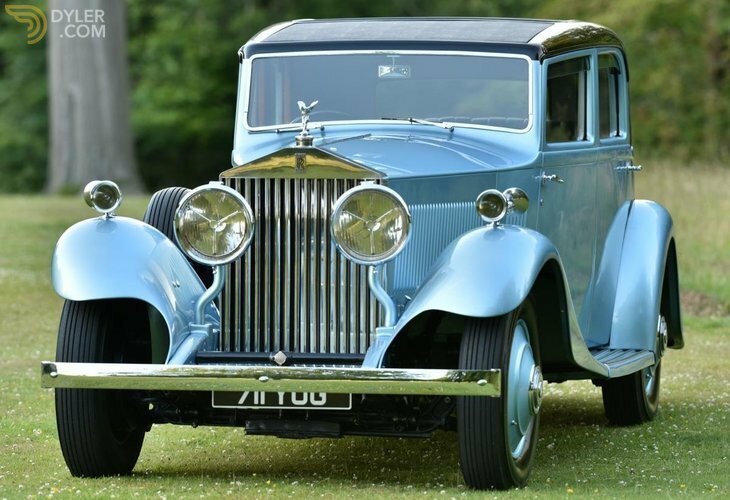 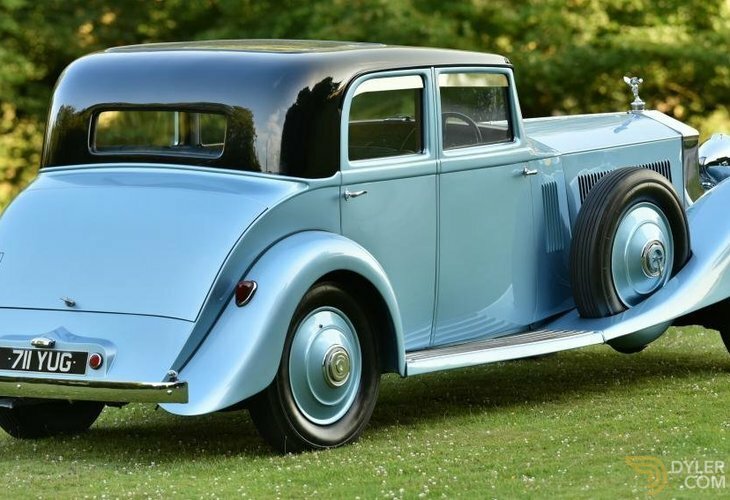 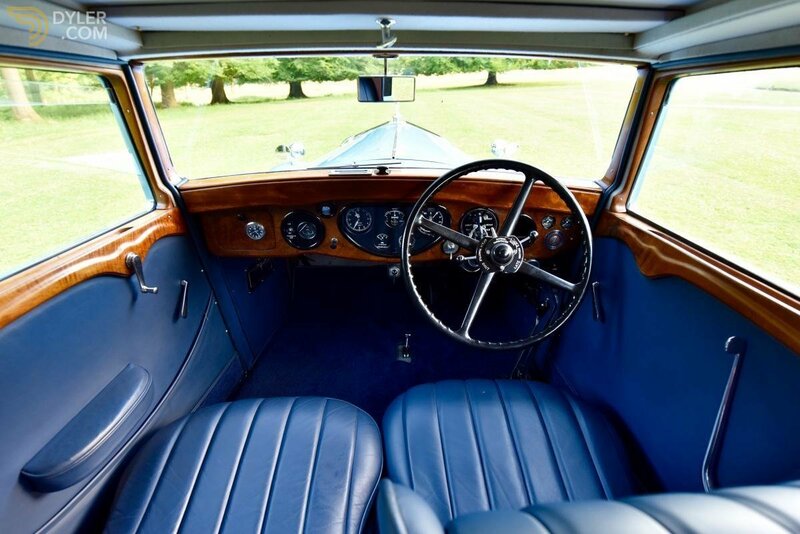 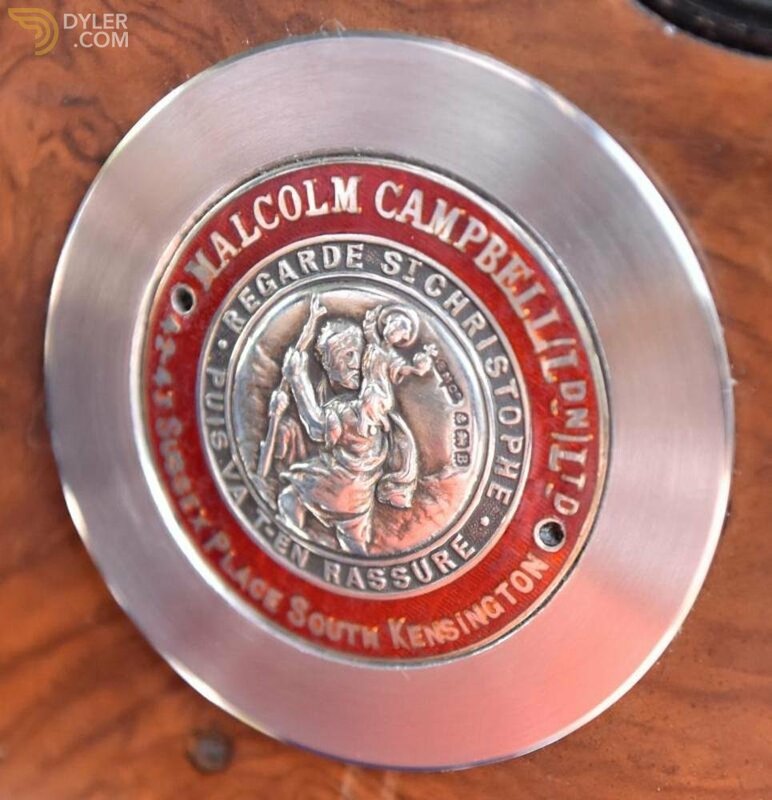 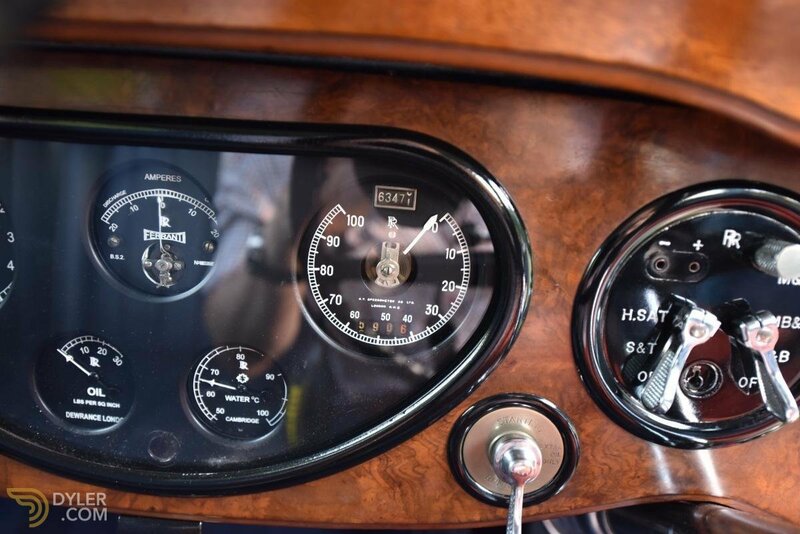 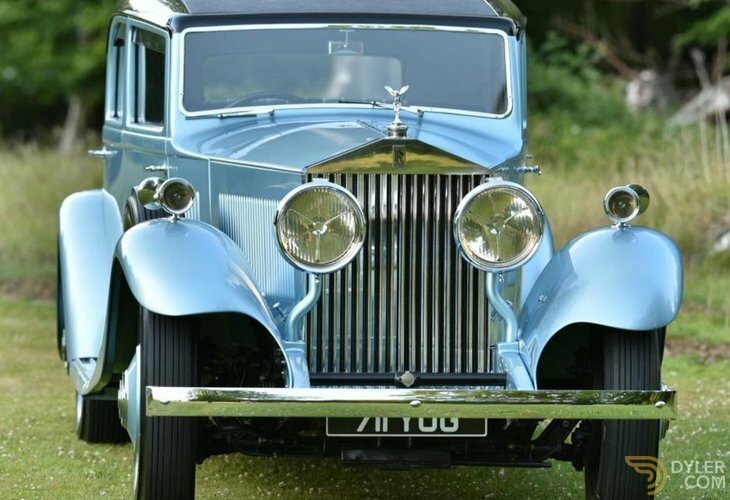 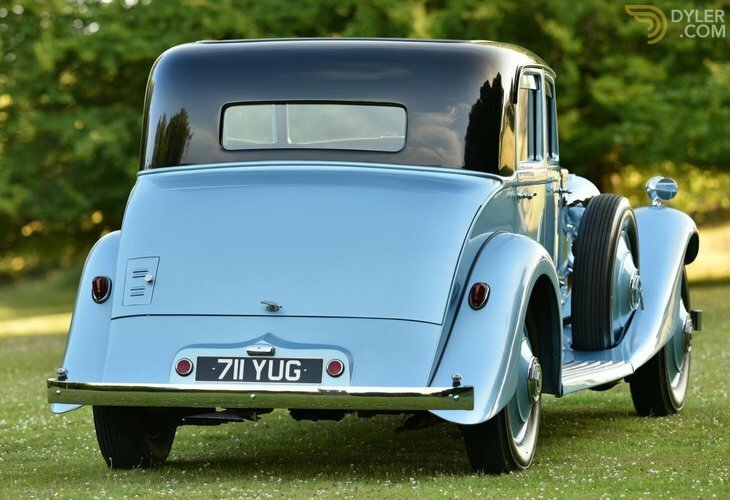 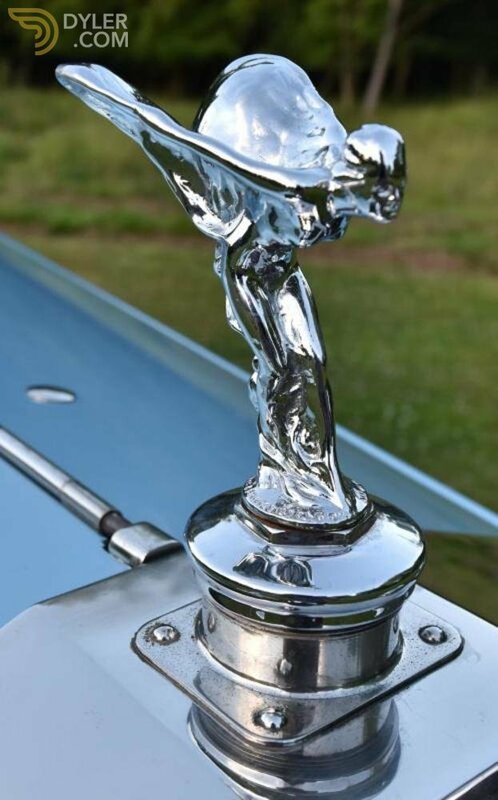 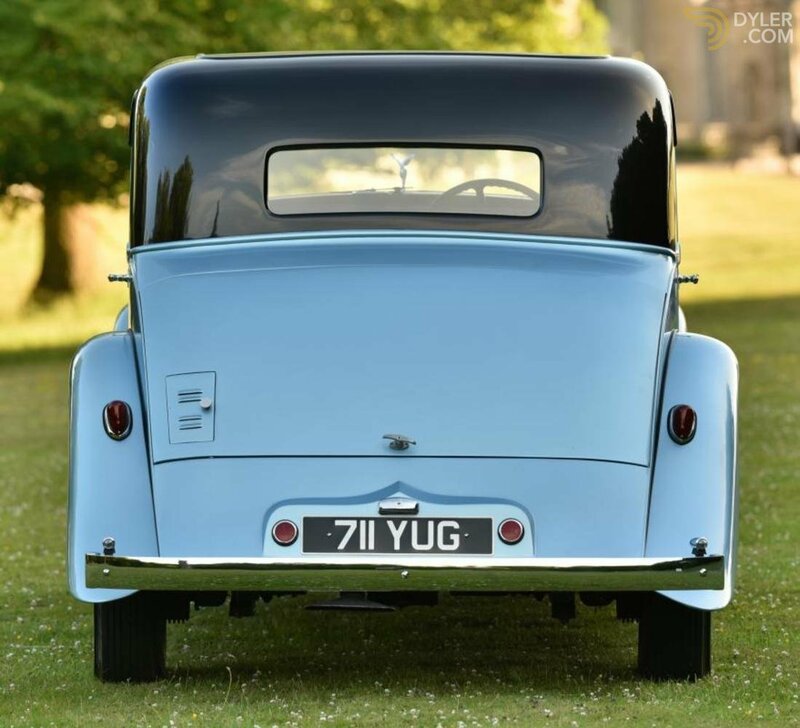 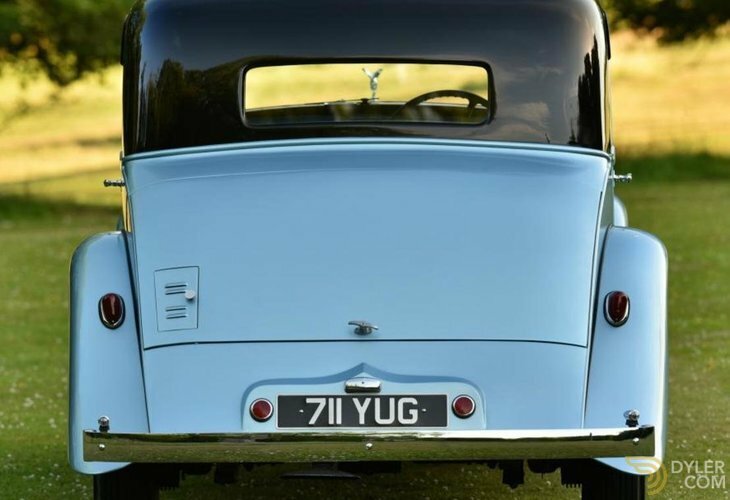 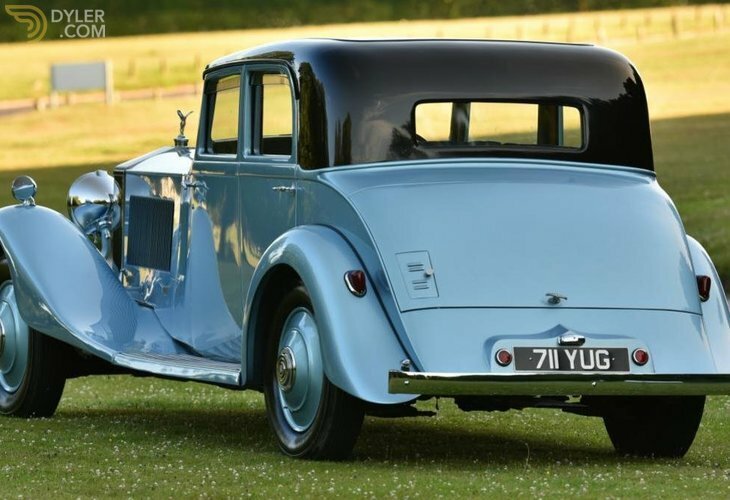 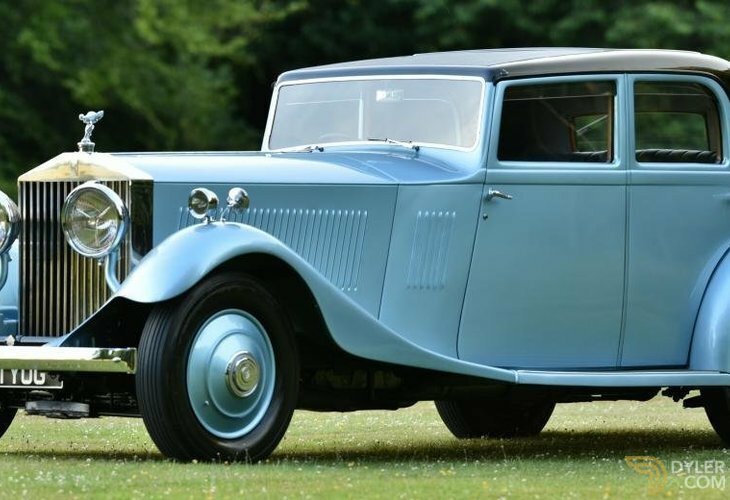 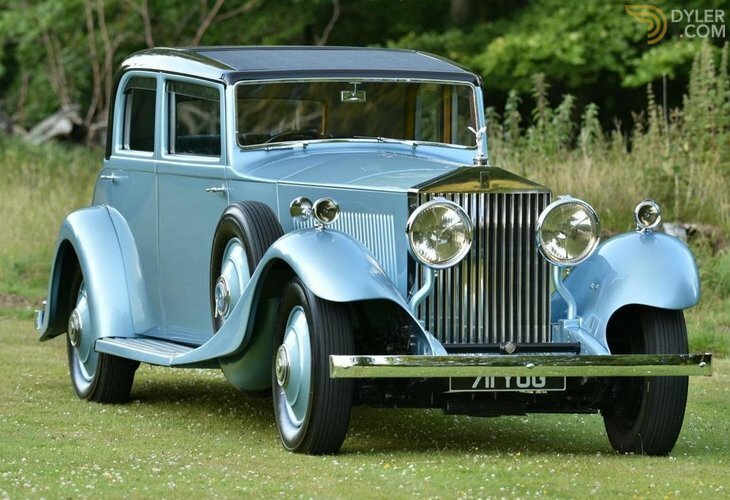 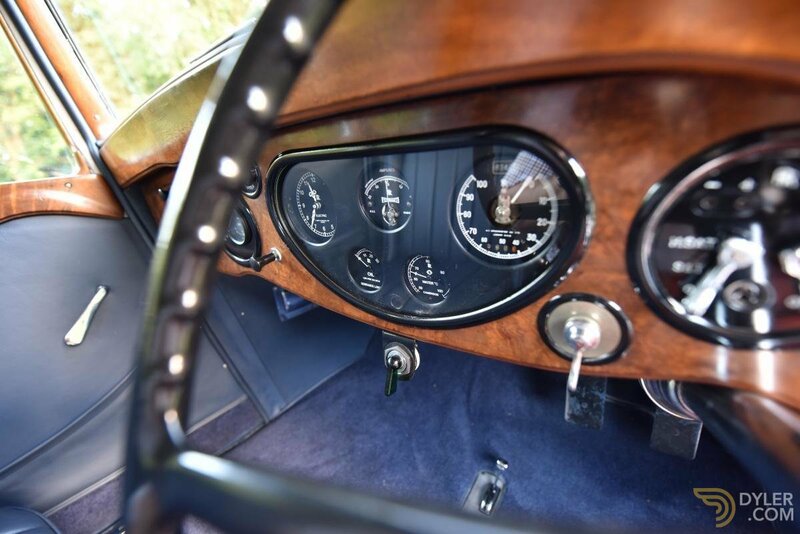 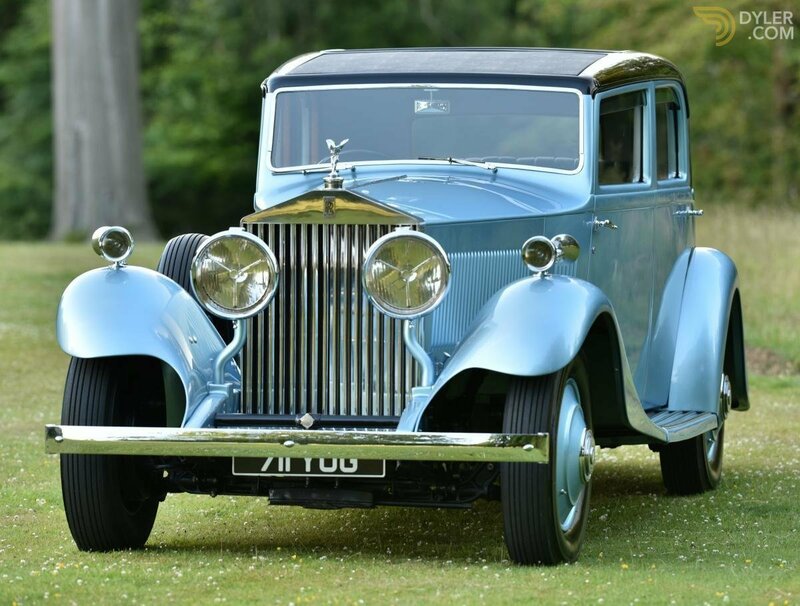 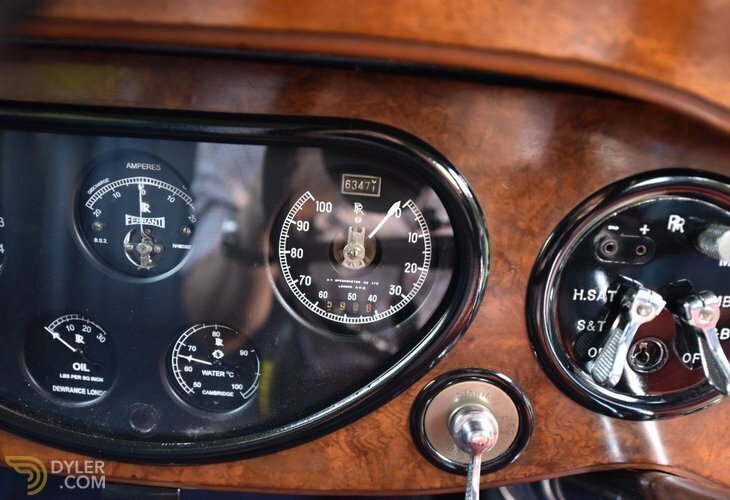 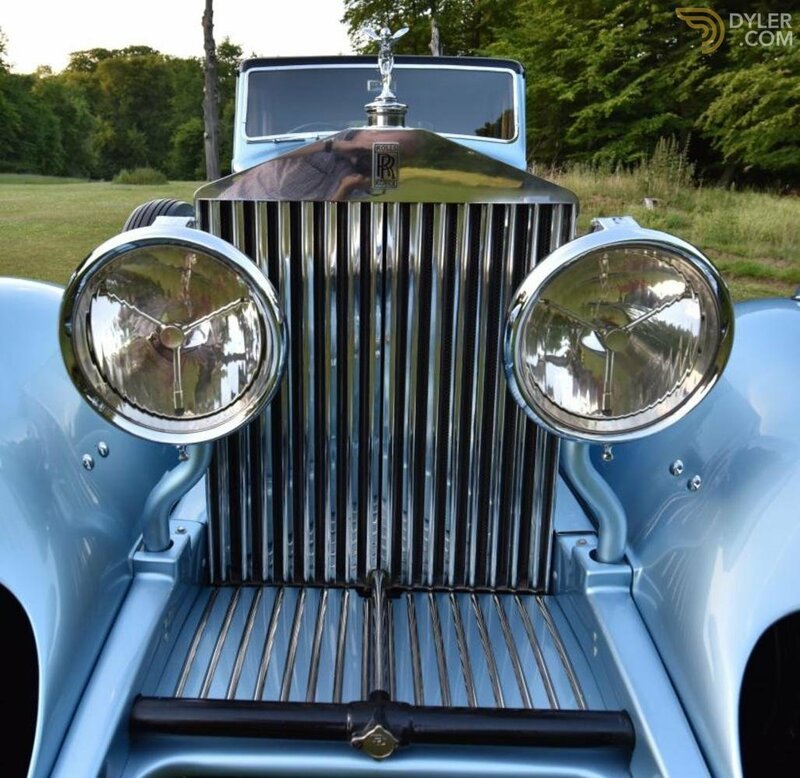 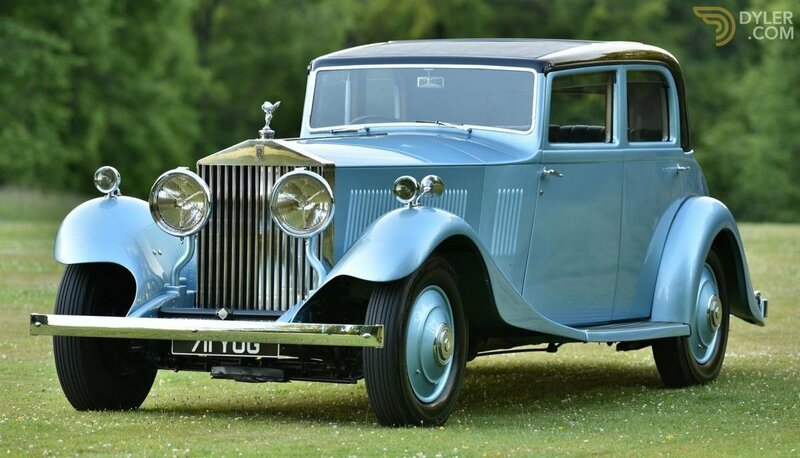 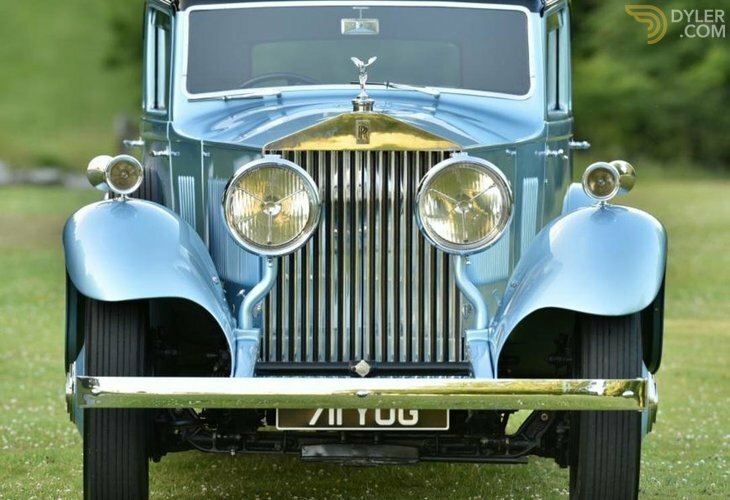 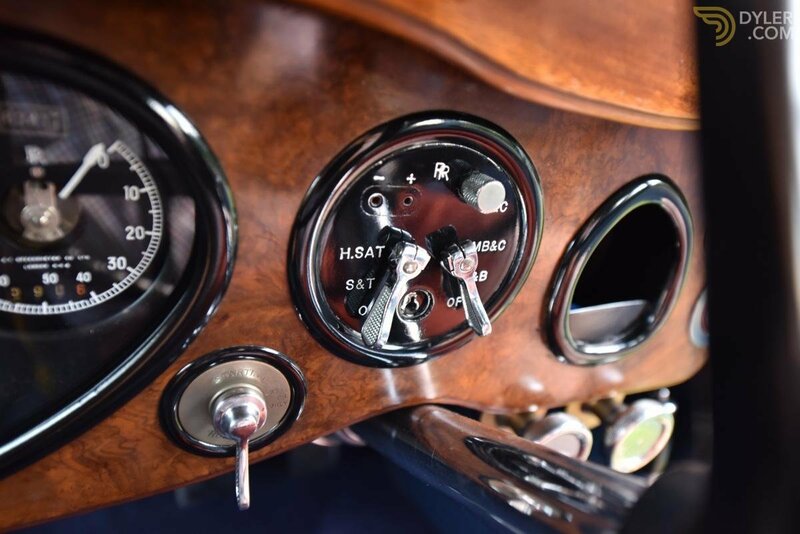 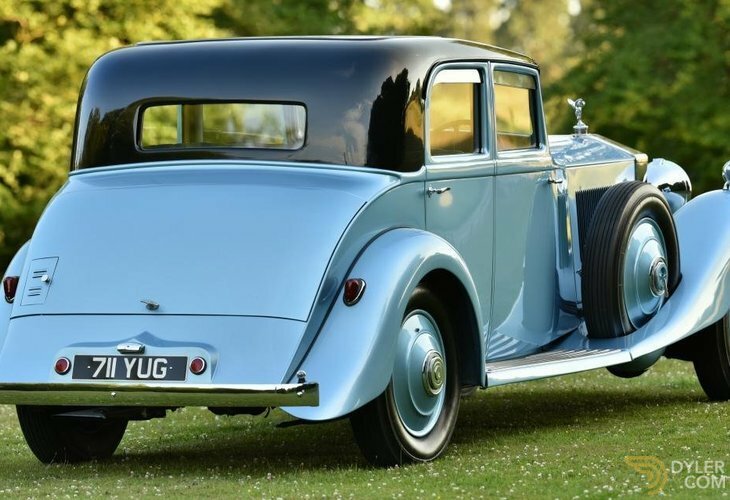 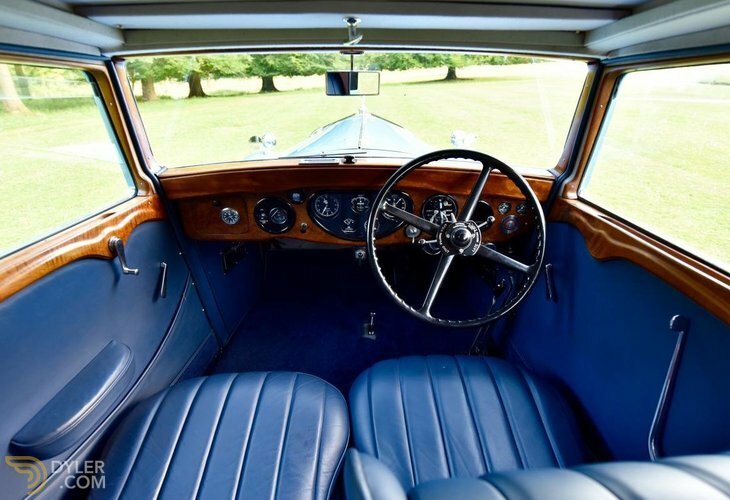 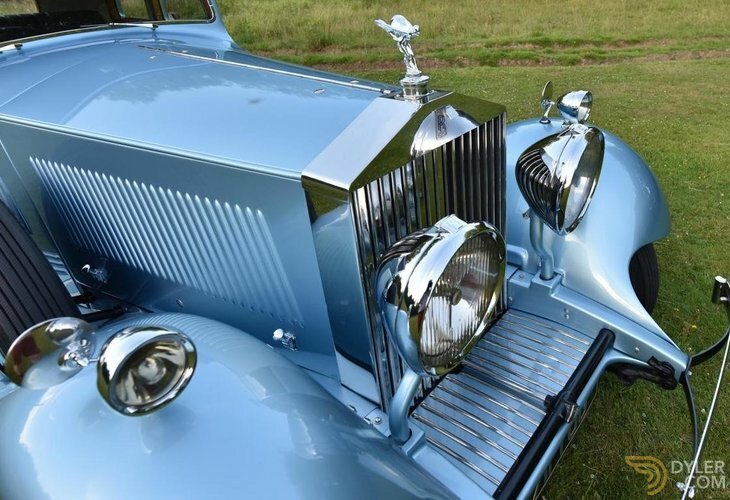 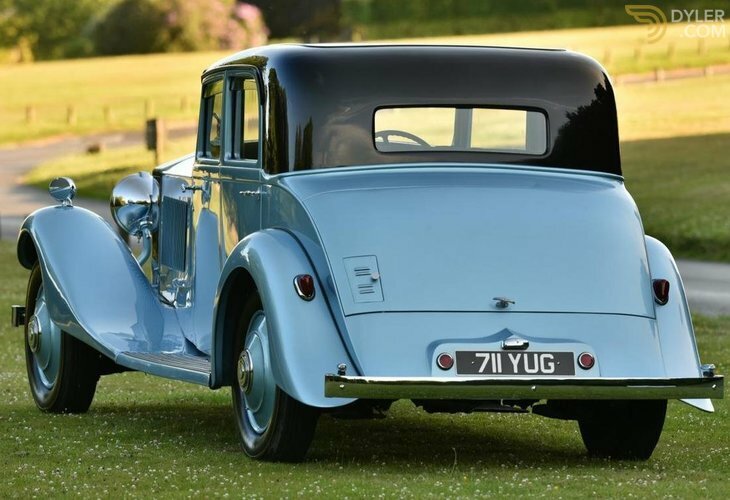 An Englishman won the sale and re-imported the Rolls Royce Phantom II Continental to Kent in the UK (customs declaration with Bonham’s listing the original owner as Captain Sir Malcolm Campbell) with all good intentions but failed to make any progress 10 years later. 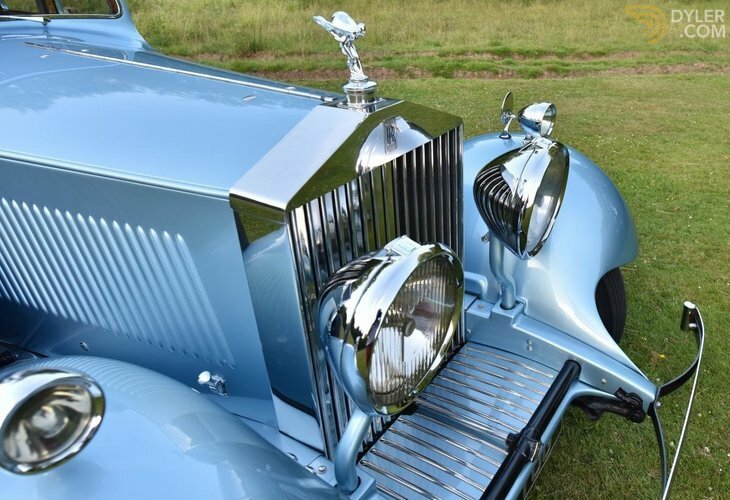 The previous owner acquired the Rolls Royce Phantom II Continental 6-7 years ago and after three years of hard labour, returned her to what you now see. 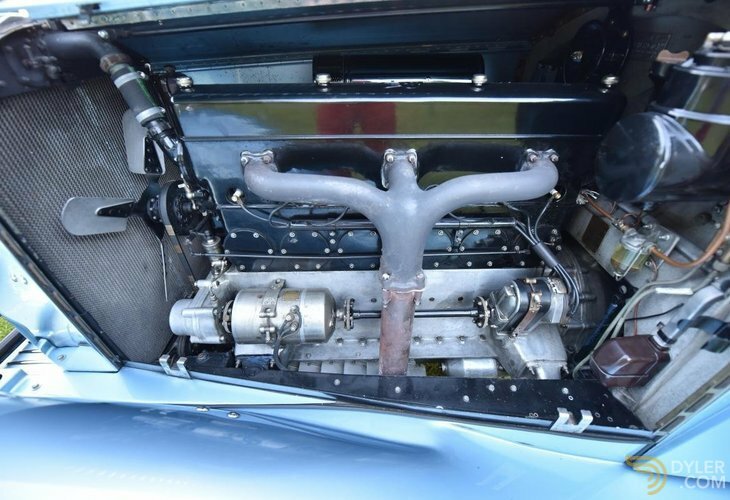 The chassis was stripped bare, cleaned and painted with all ancillaries. Re-installed new spring gaiters, new tyres, new exhaust and new André Hartford telescopic shock absorbers. 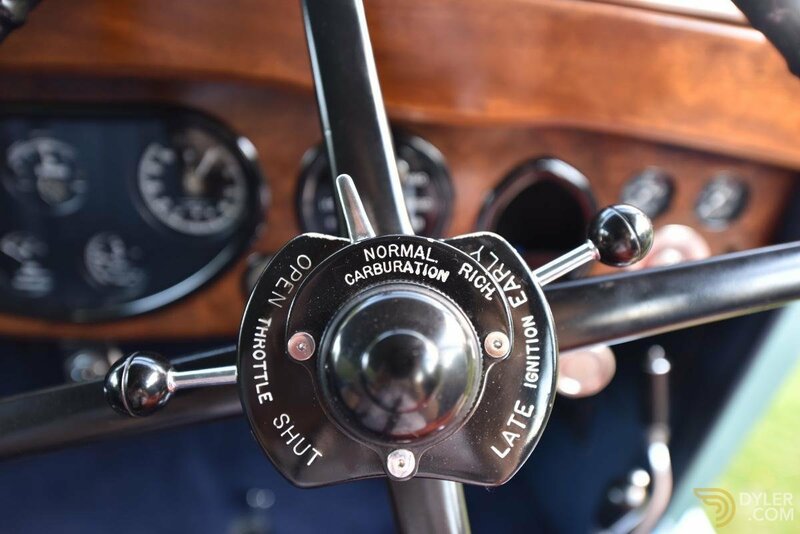 The gearbox has had a complete overhaul and is now silky smooth, The clutch has been fully refurbished. 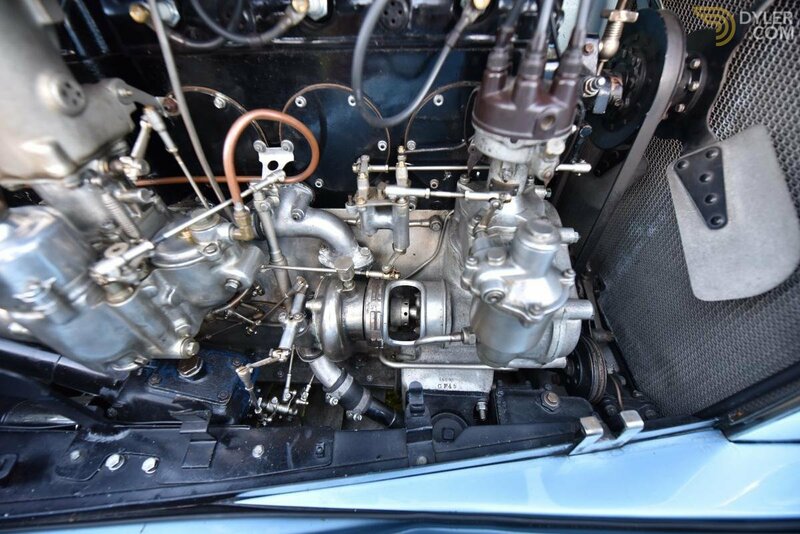 The steering box has been overhauled by Finnes. The brakes have been fully overhauled. 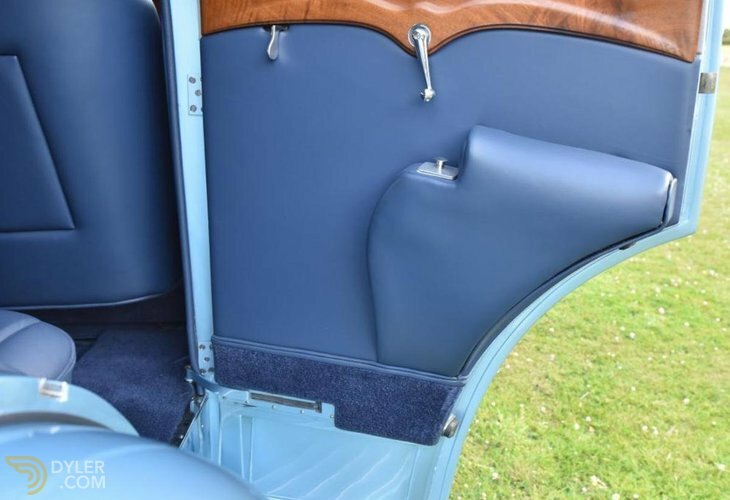 Insurance documents. The exhaust pipe to be 9 inches longer than stock! 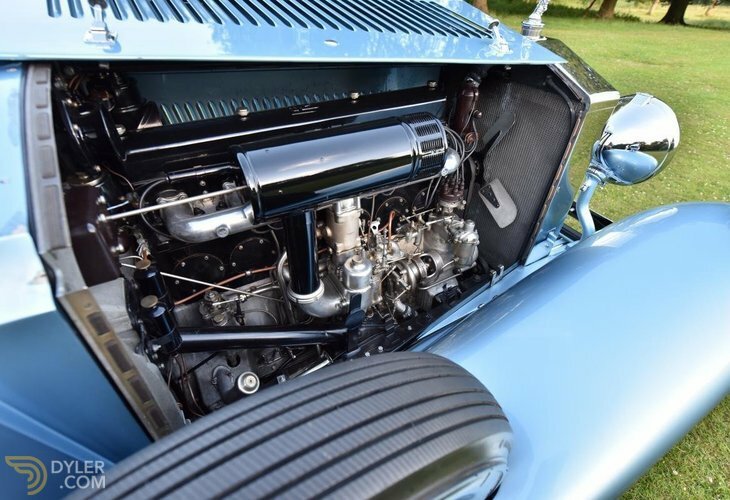 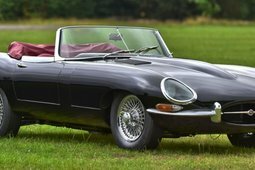 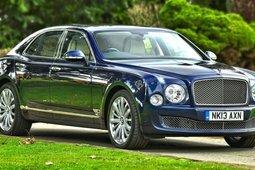 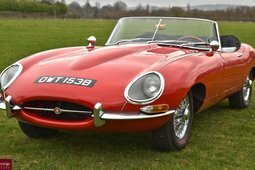 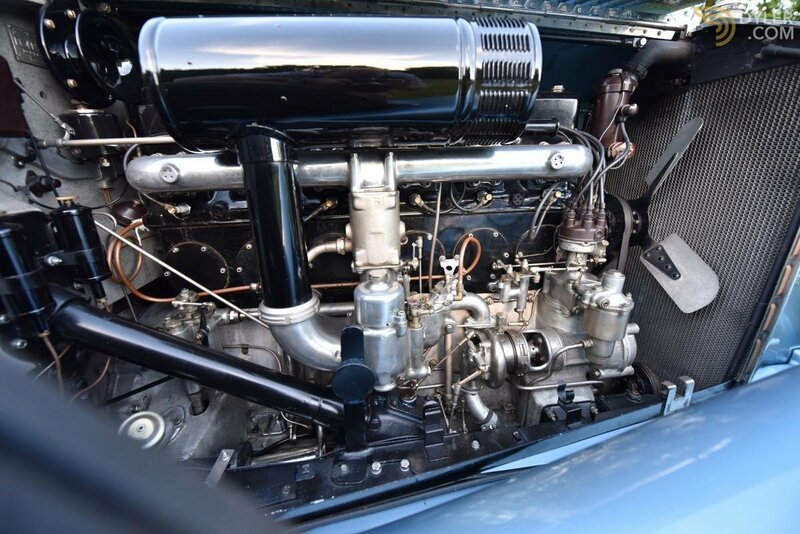 As mentioned above, the car is currently with Marque specialist Lee Kenworthy of Kenworthy Engineering near Stansted having overhaul work and service performed as described above. 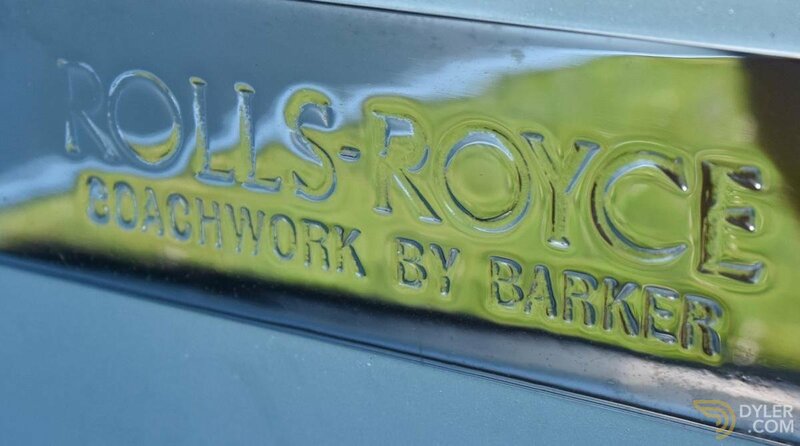 Upon completion it will return to our showroom.